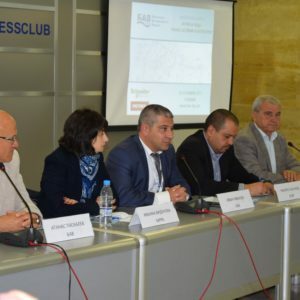 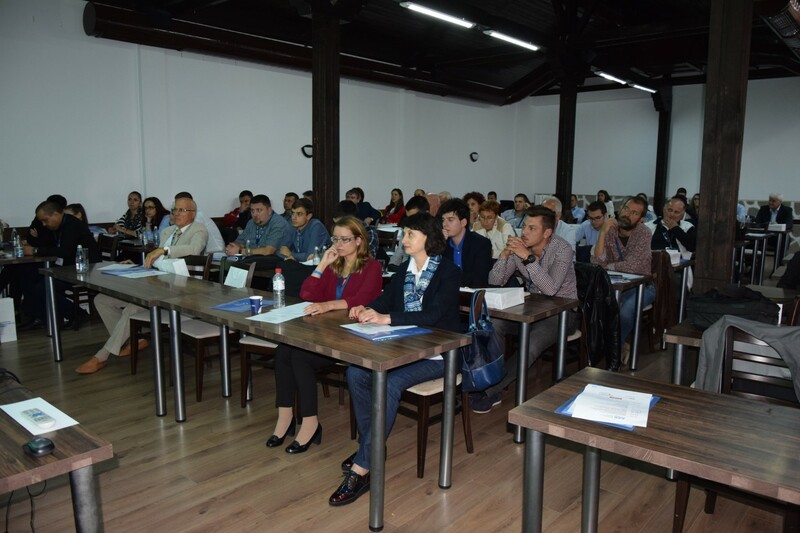 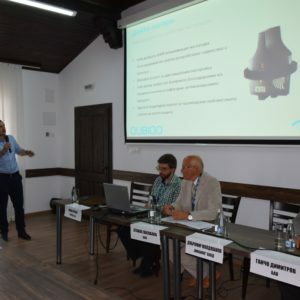 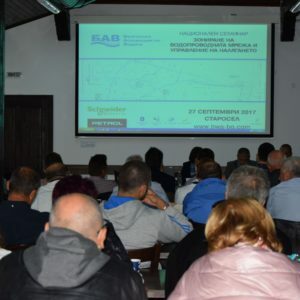 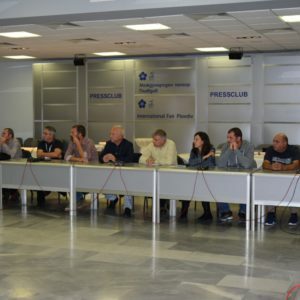 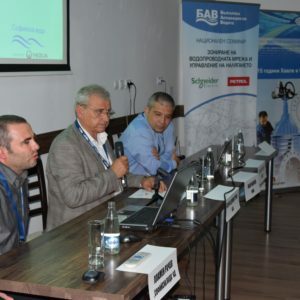 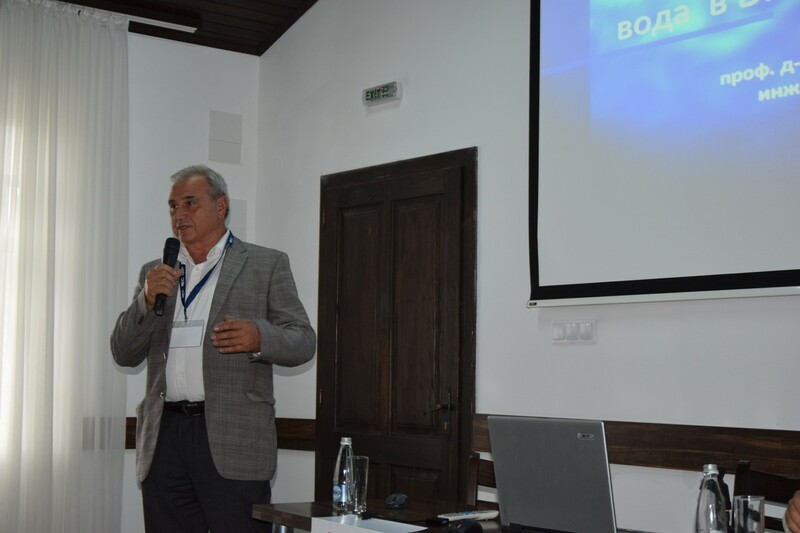 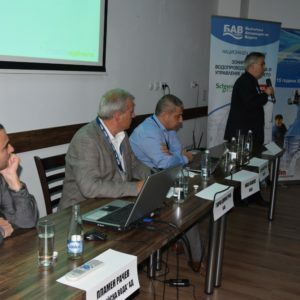 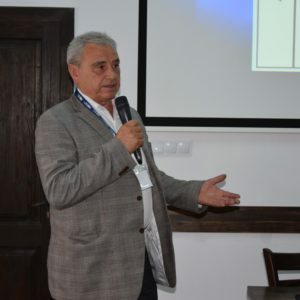 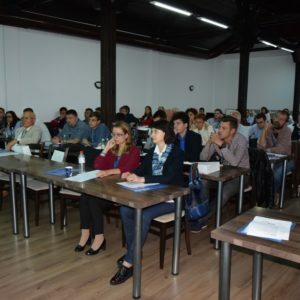 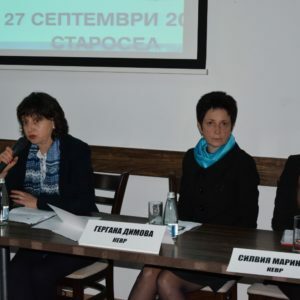 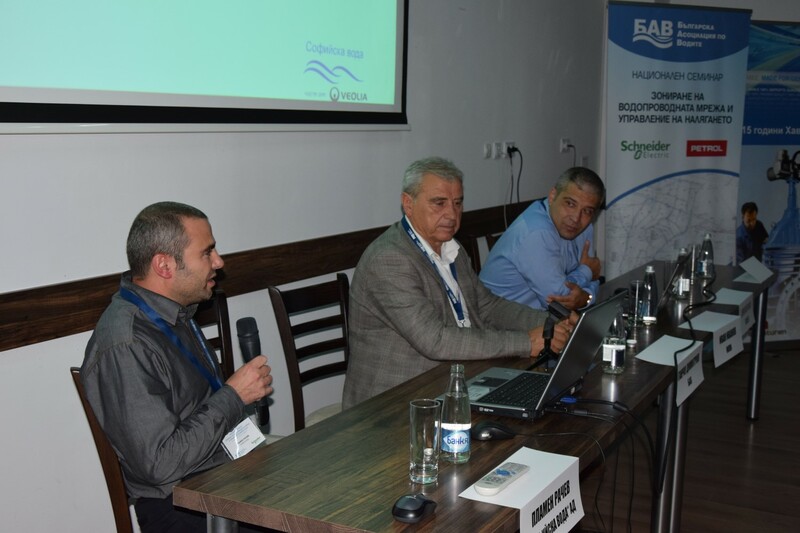 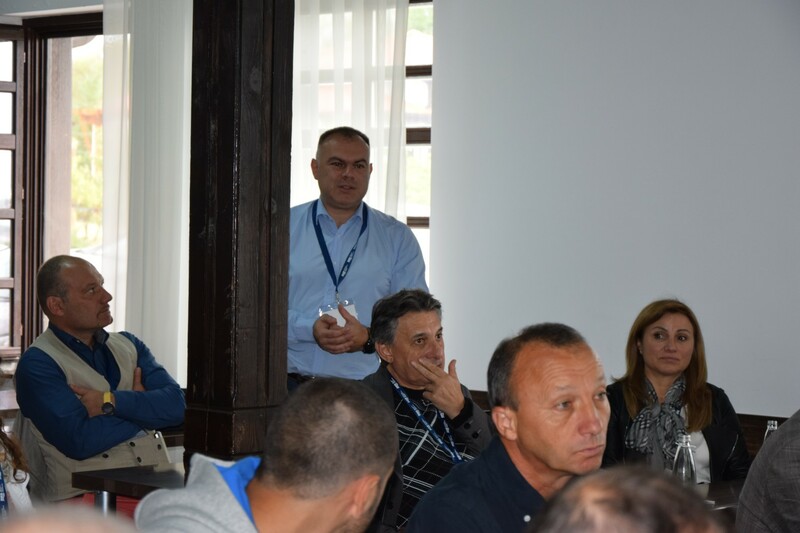 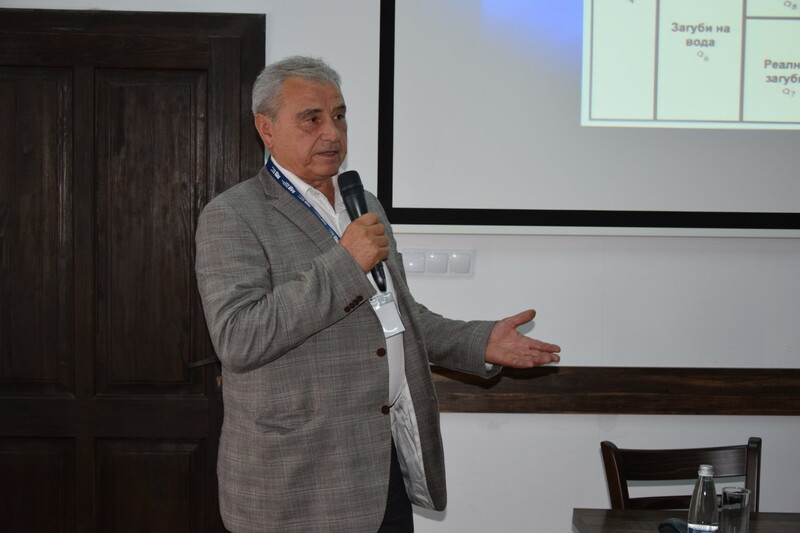 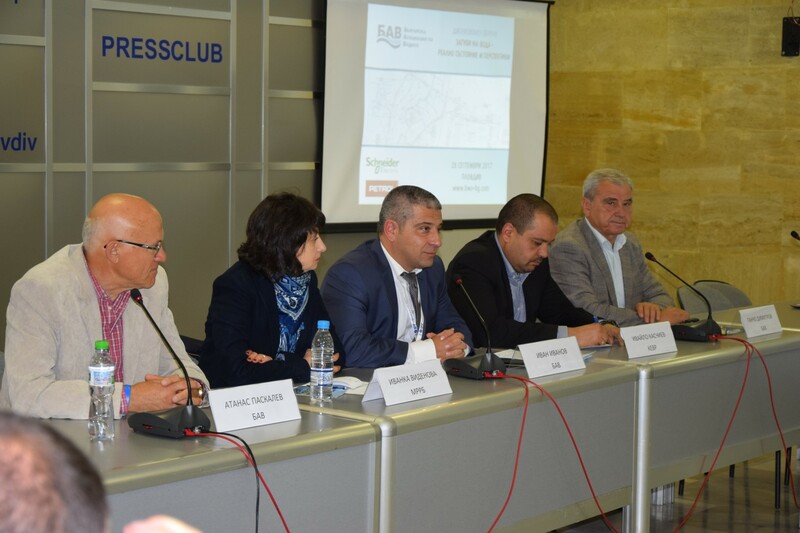 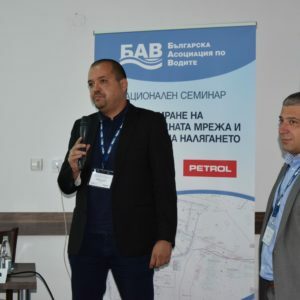 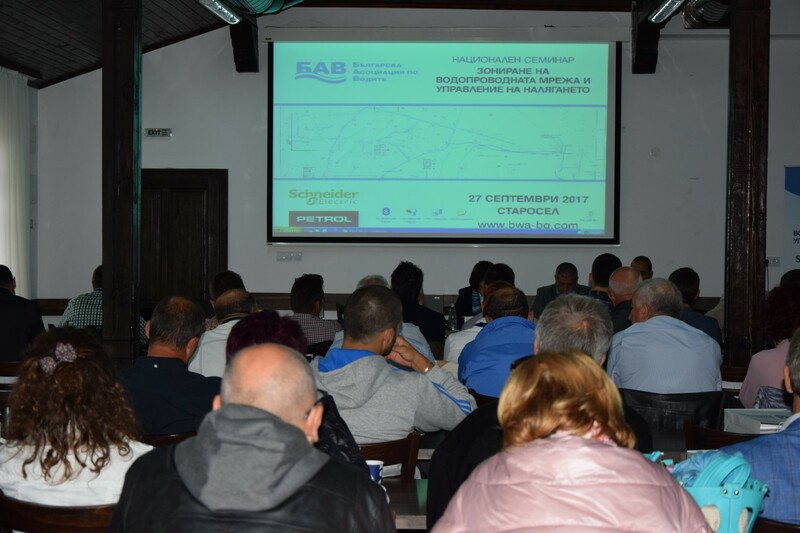 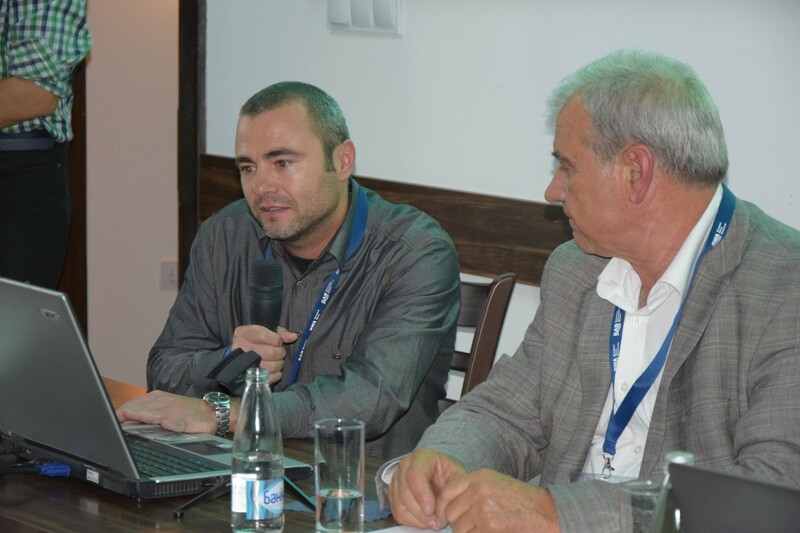 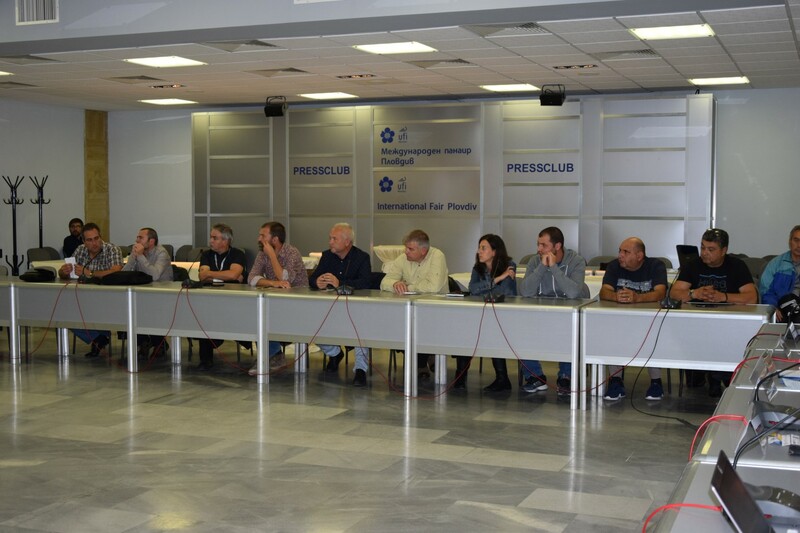 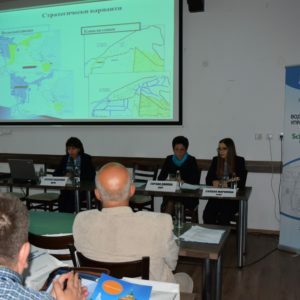 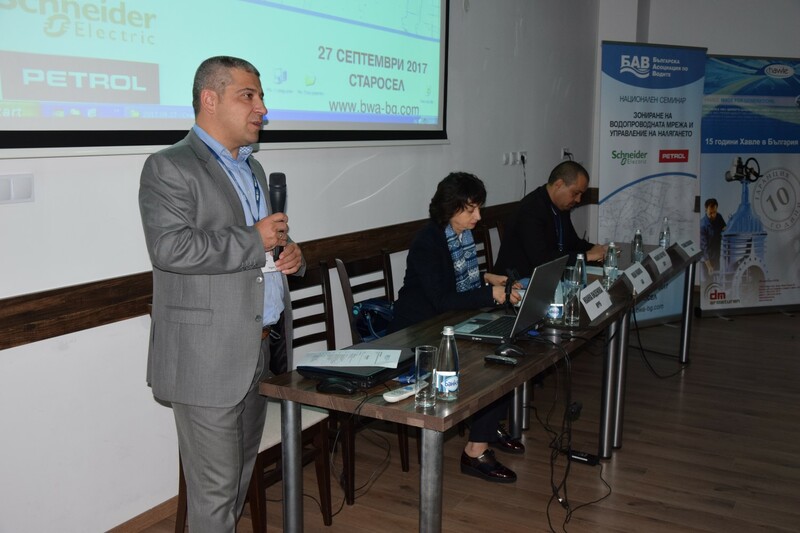 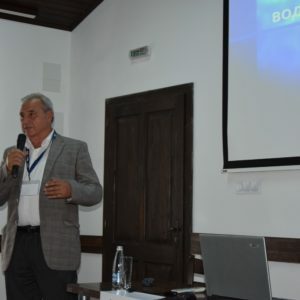 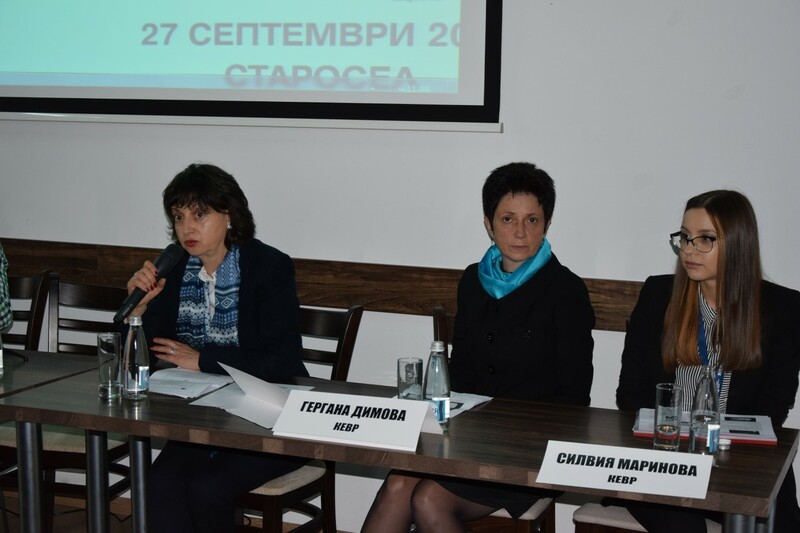 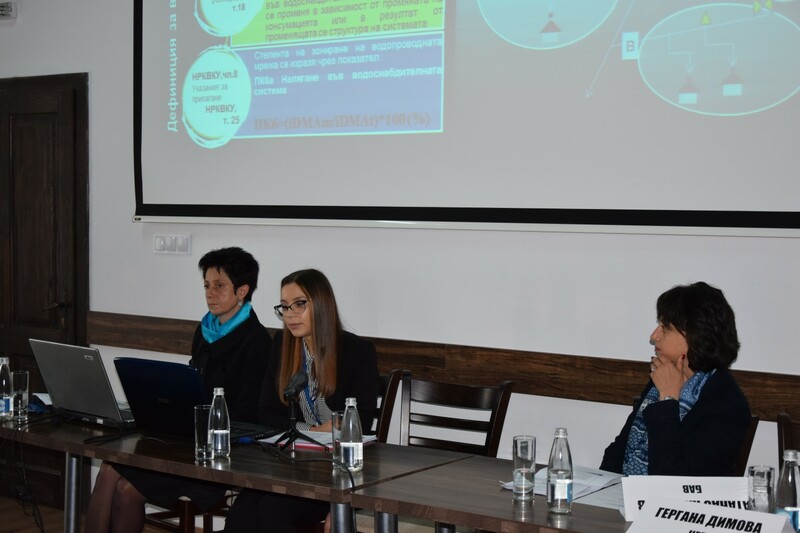 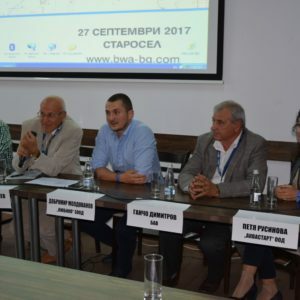 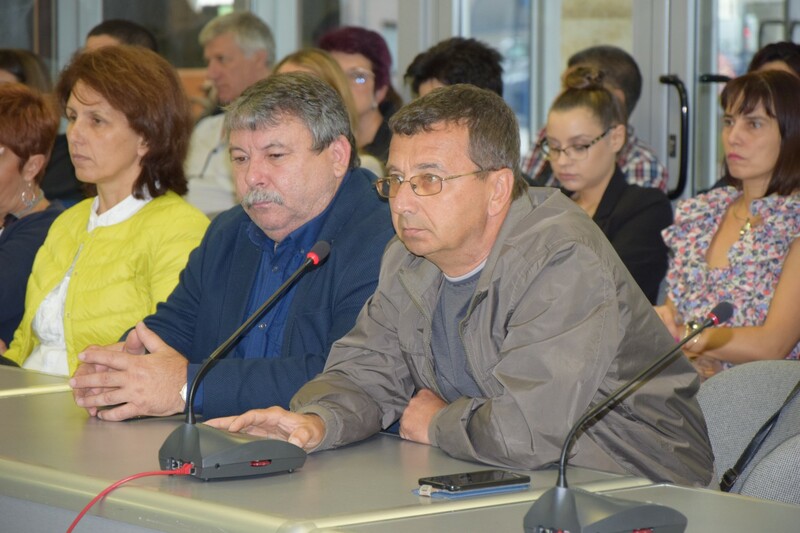 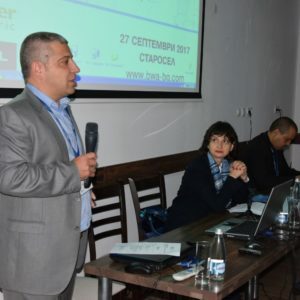 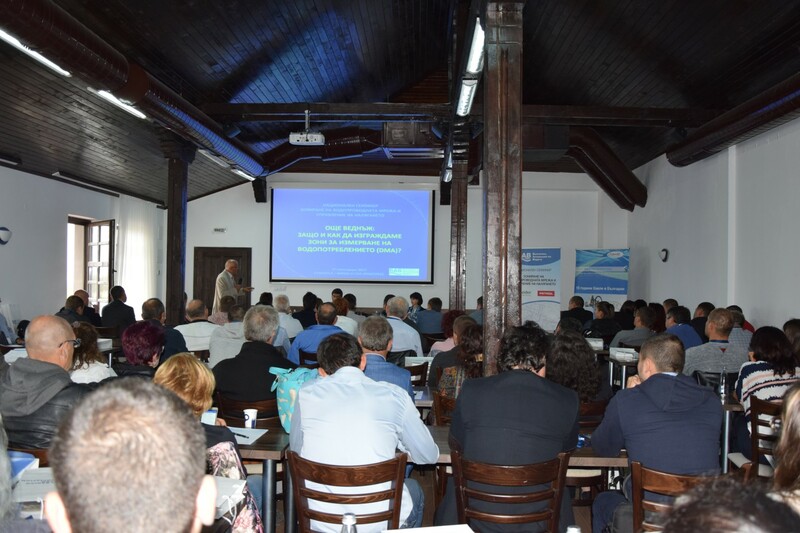 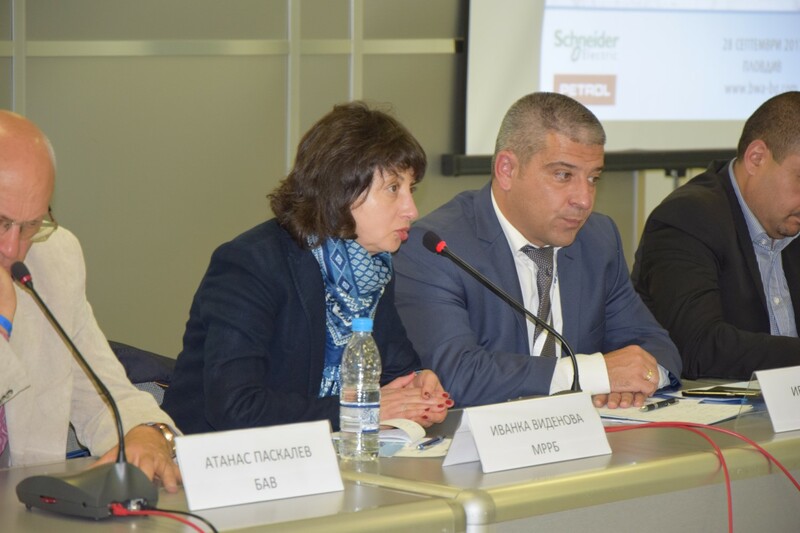 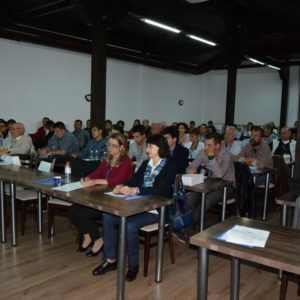 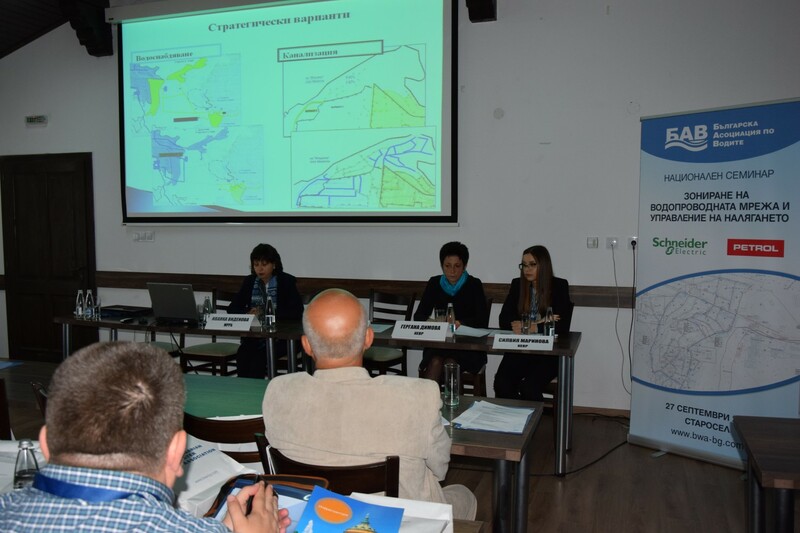 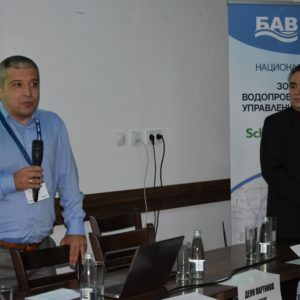 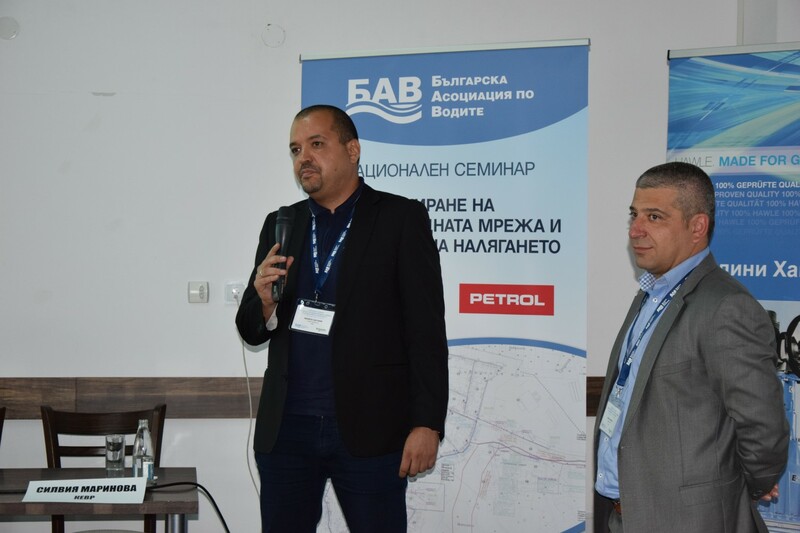 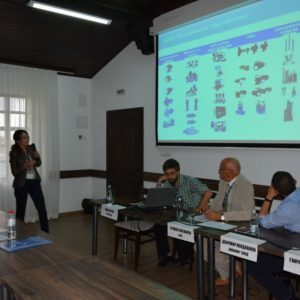 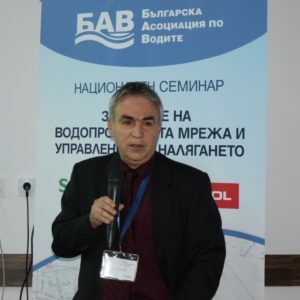 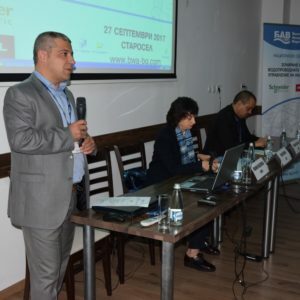 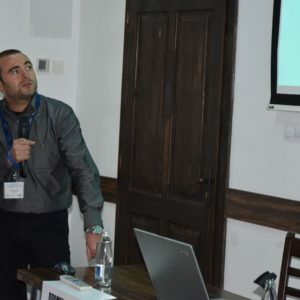 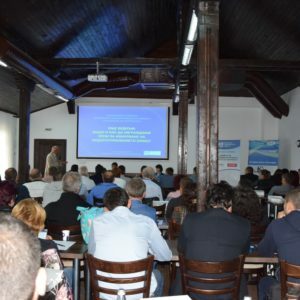 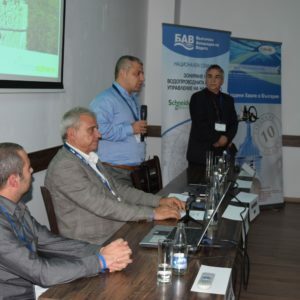 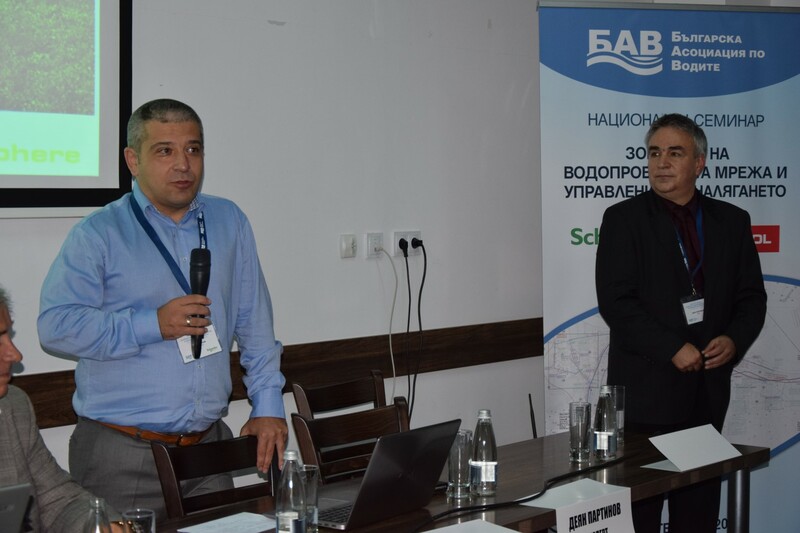 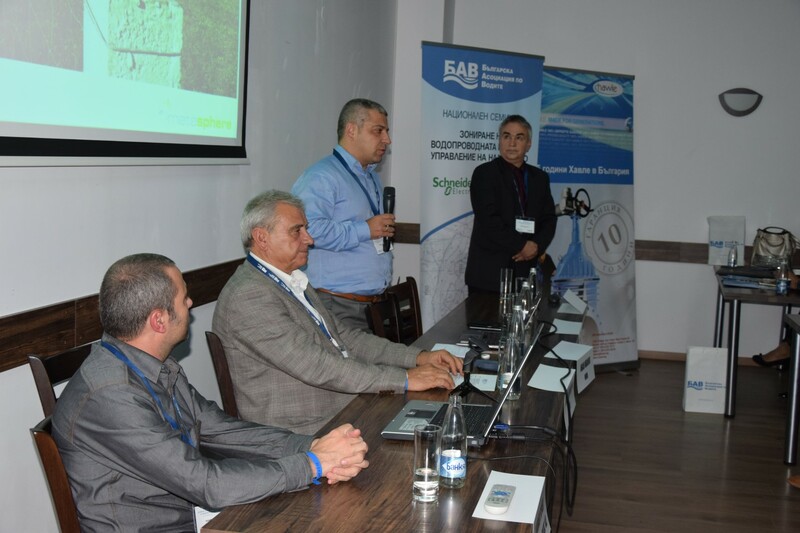 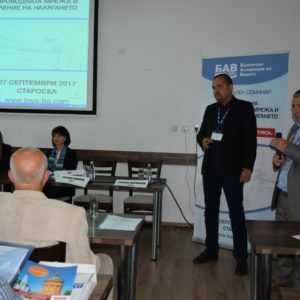 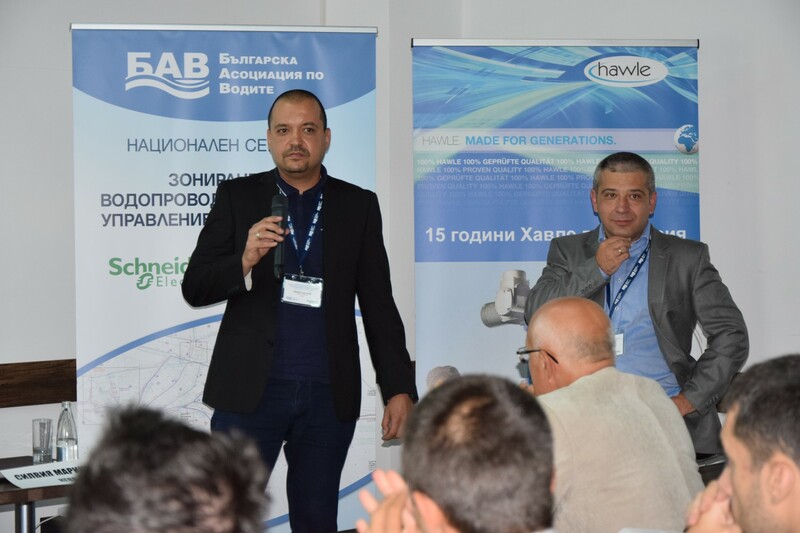 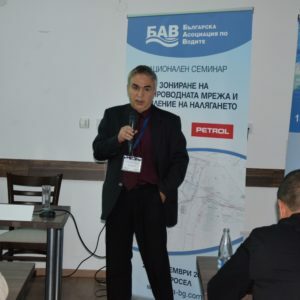 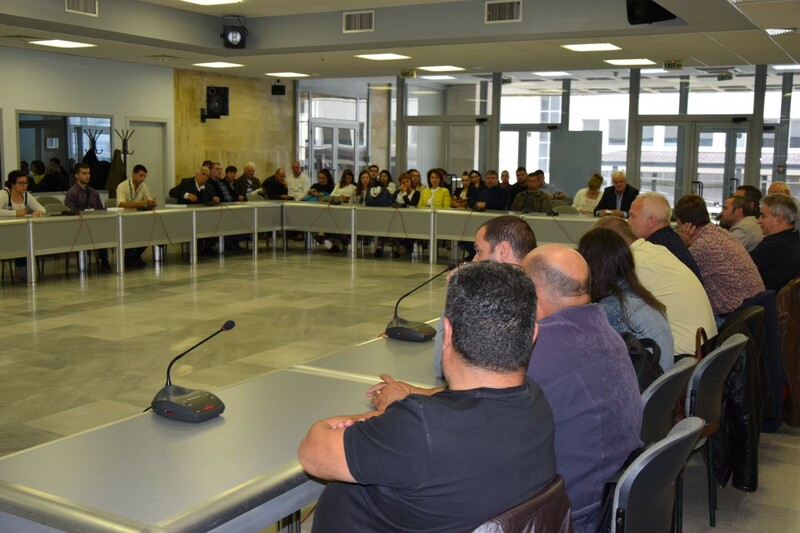 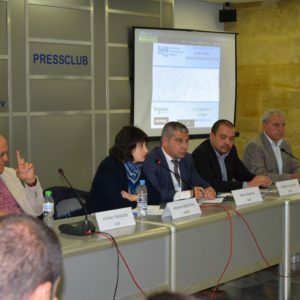 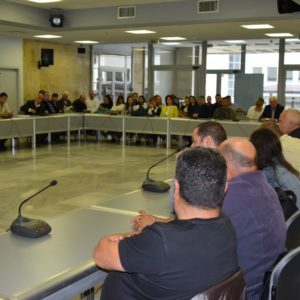 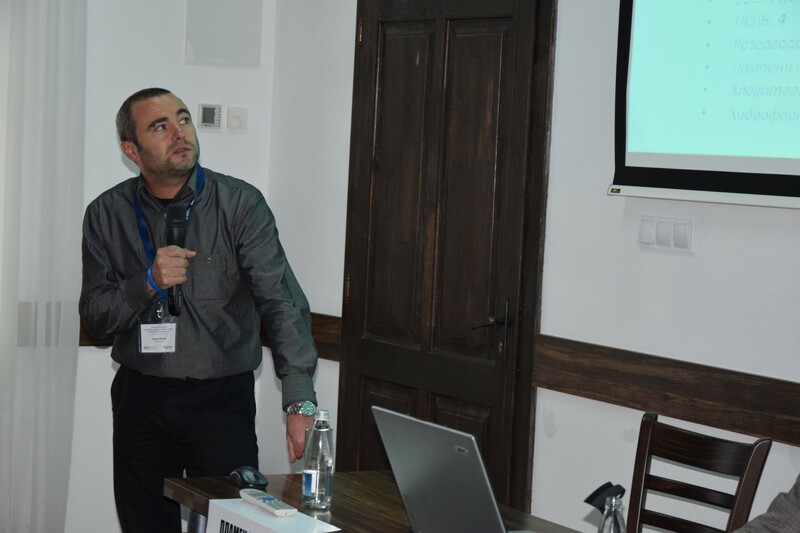 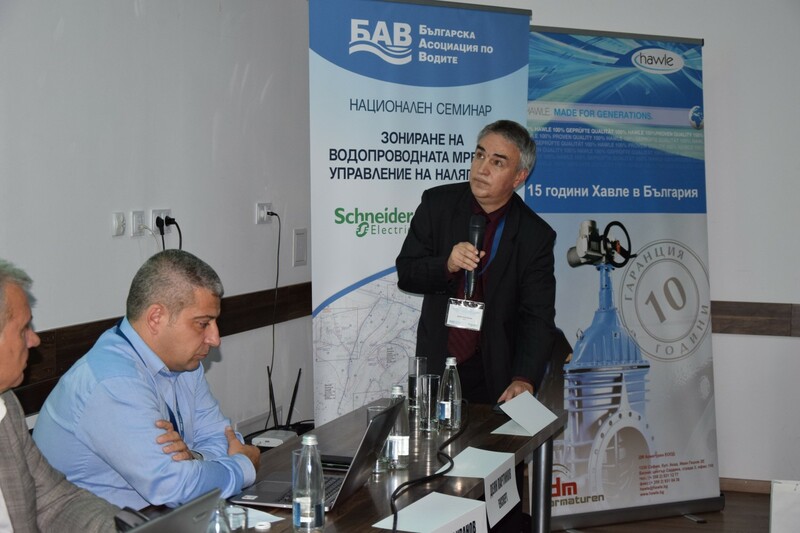 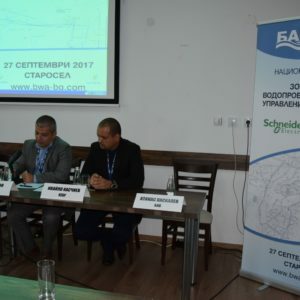 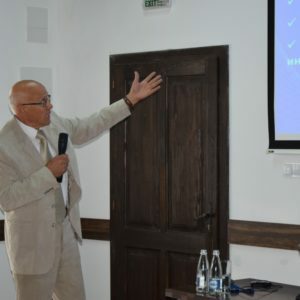 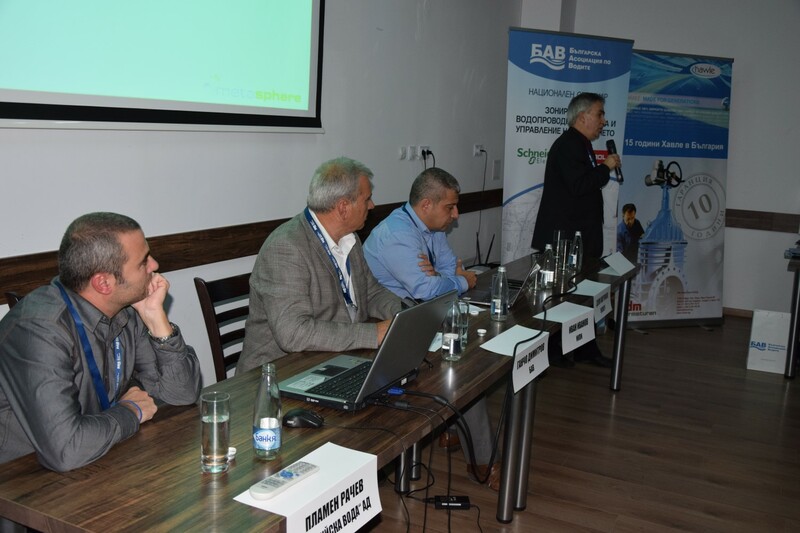 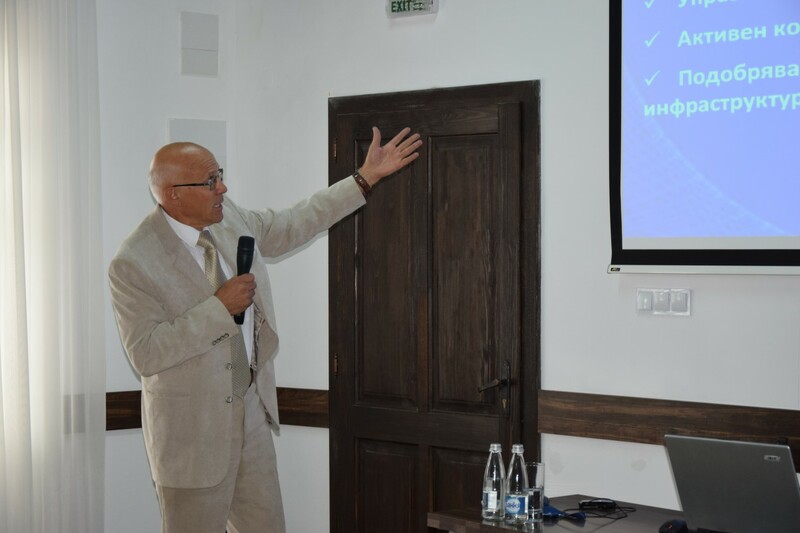 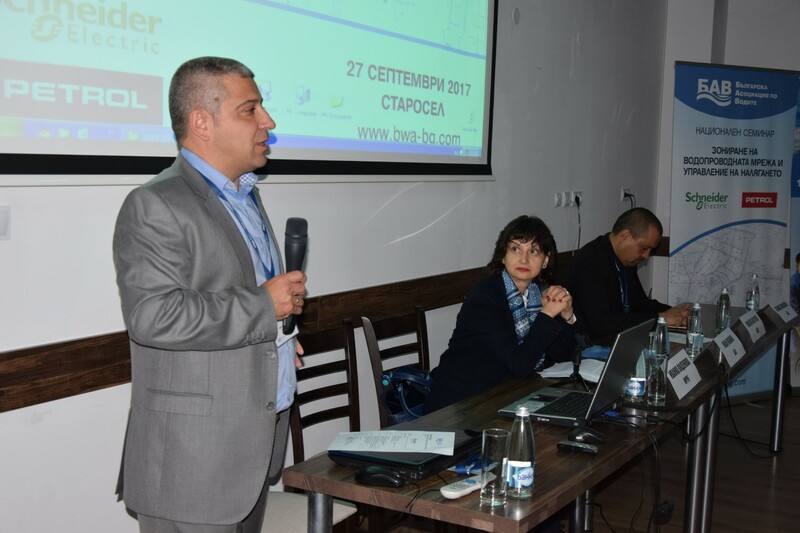 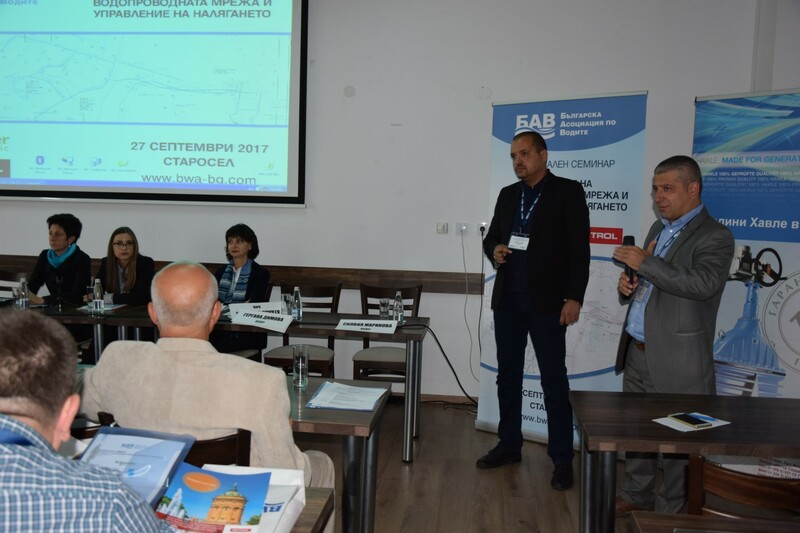 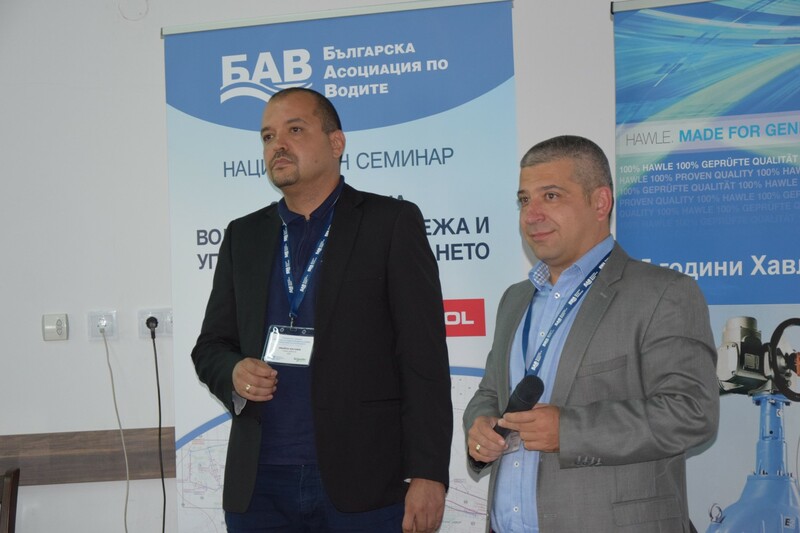 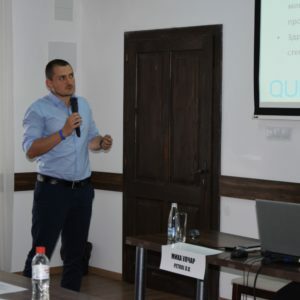 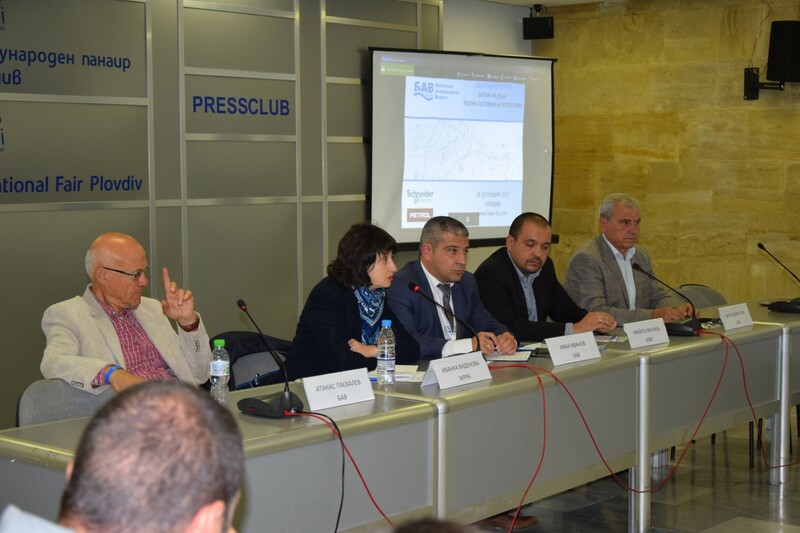 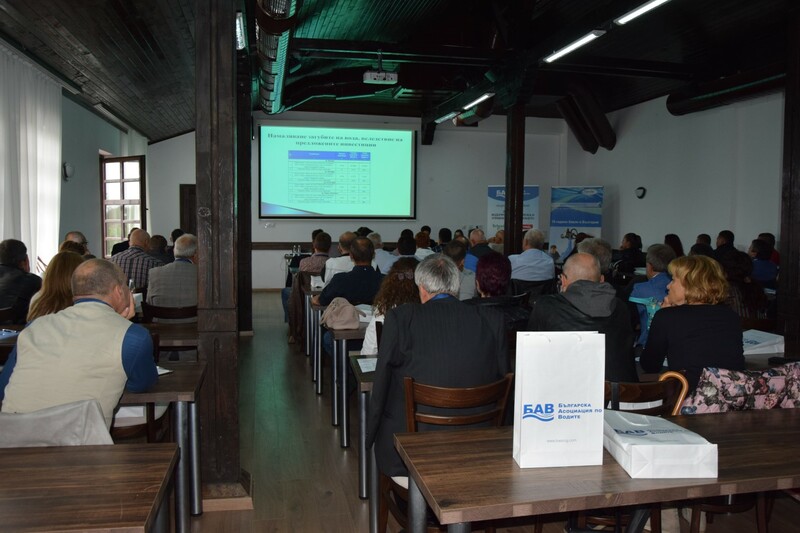 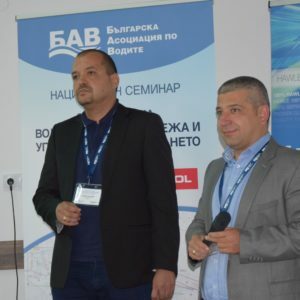 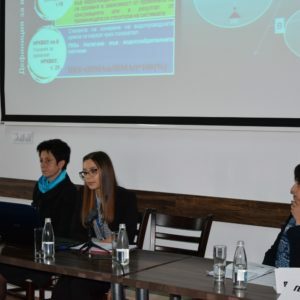 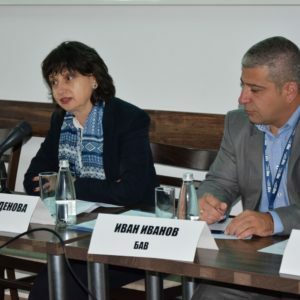 On September 27, 2017 in Starosel, Plovdiv region, Bulgarian Water Association (BWA) held a National Seminar „Zoning of the water supply network and pressure management“. 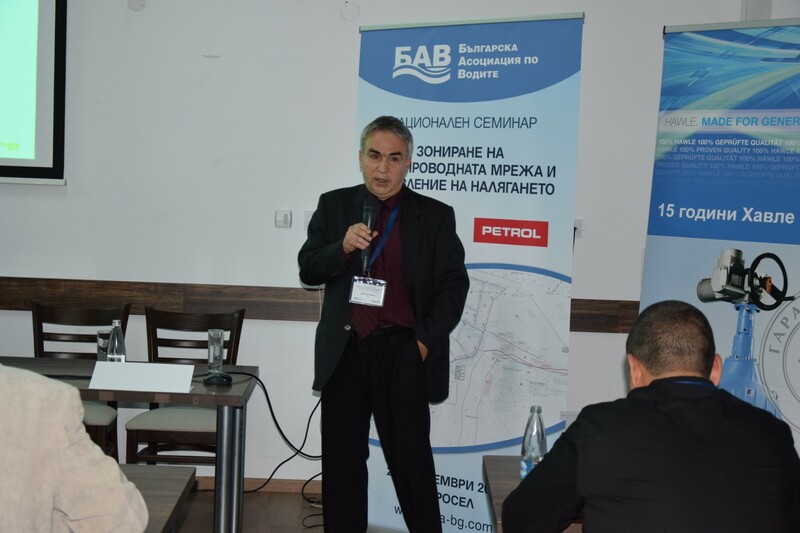 The event was opened by Eng. 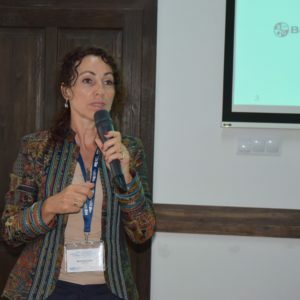 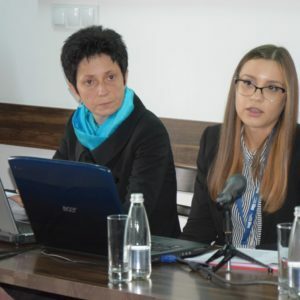 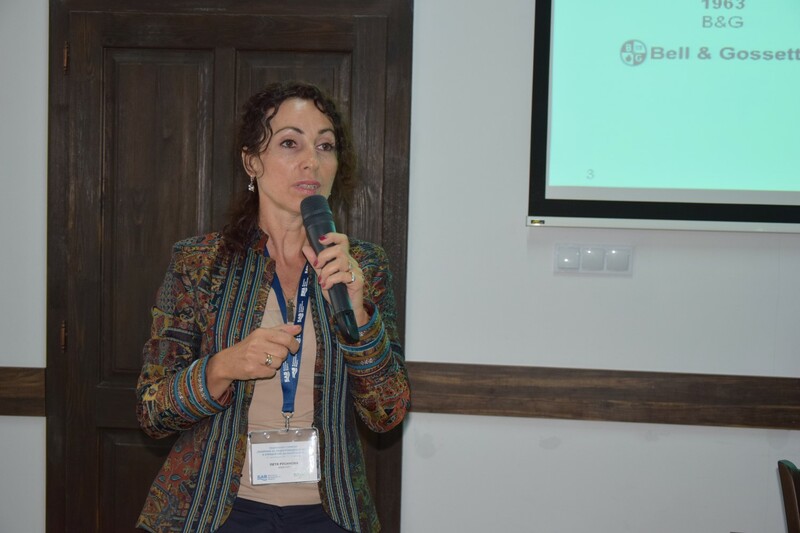 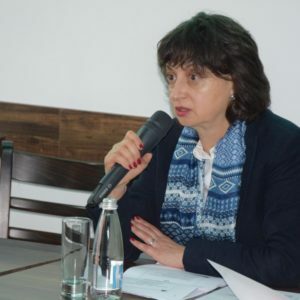 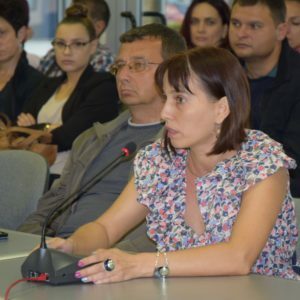 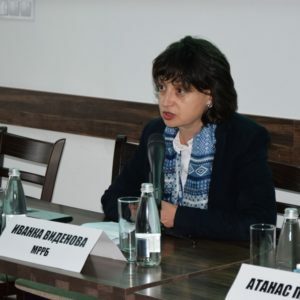 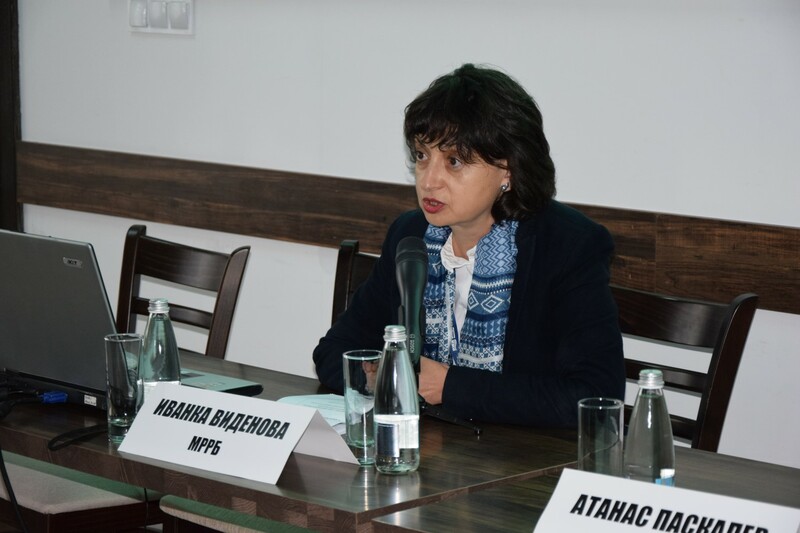 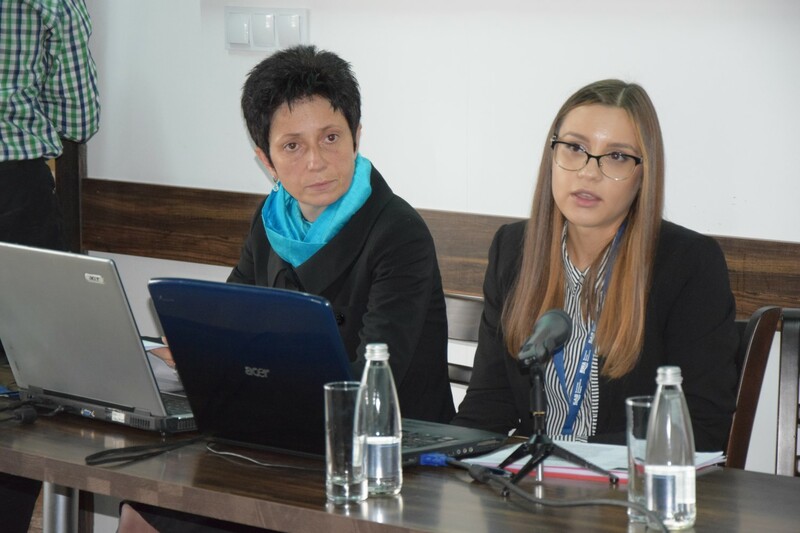 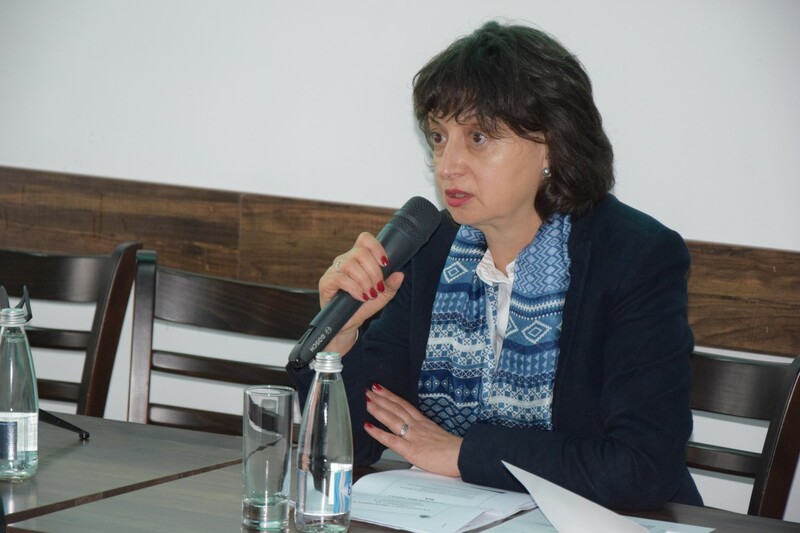 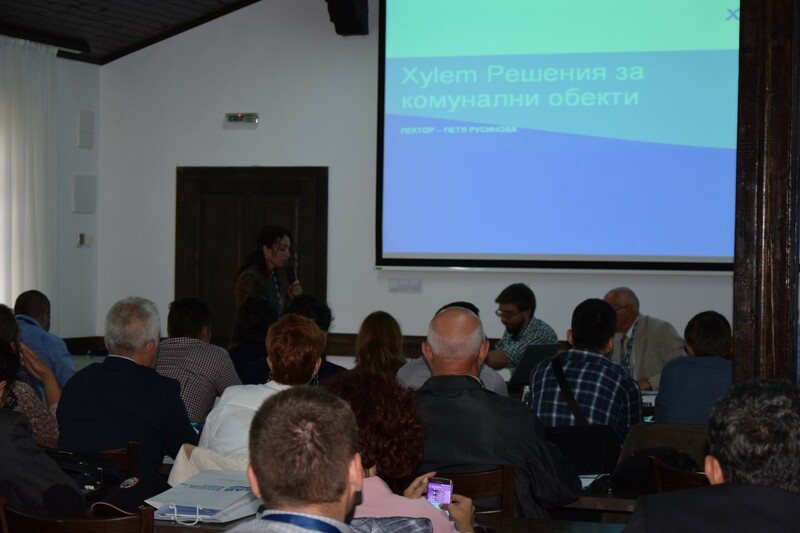 Ivanka Videnova, Director of Water Supply and Sanitation Directory at the Ministry of Regional Development and Public Works,. 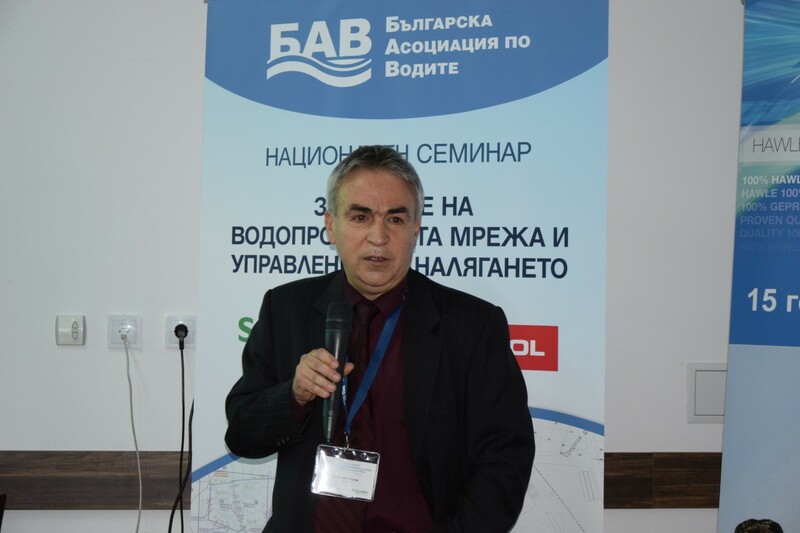 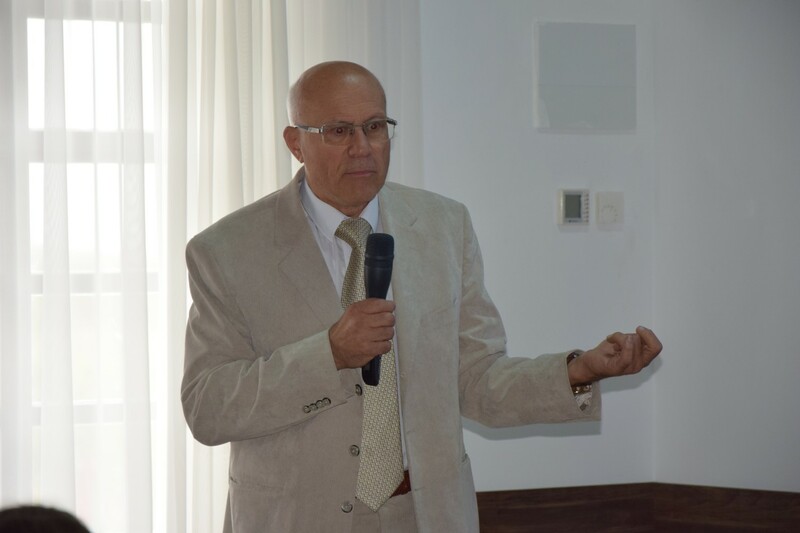 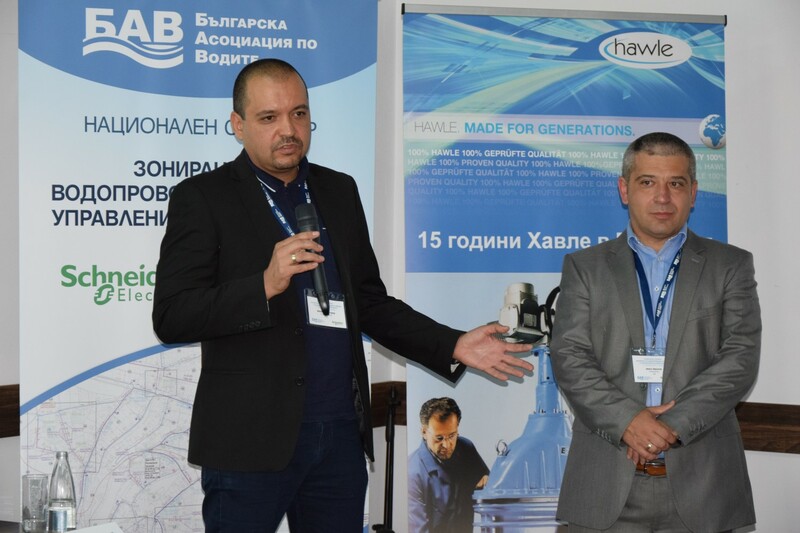 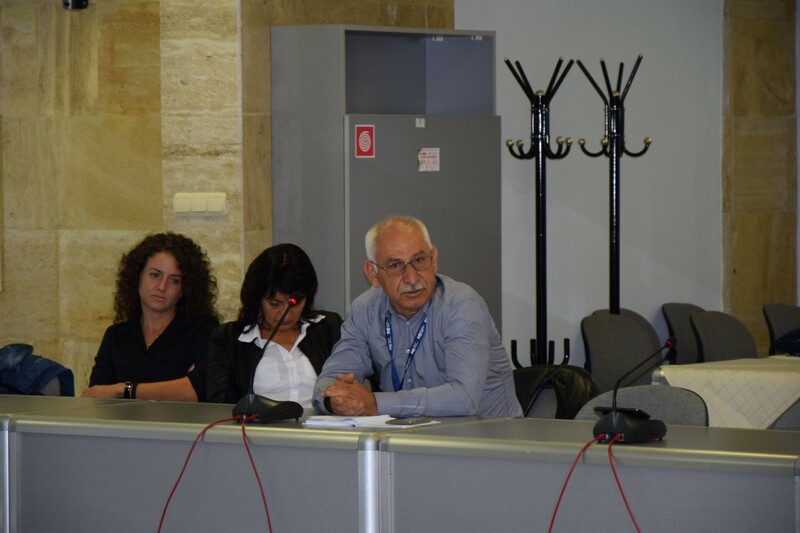 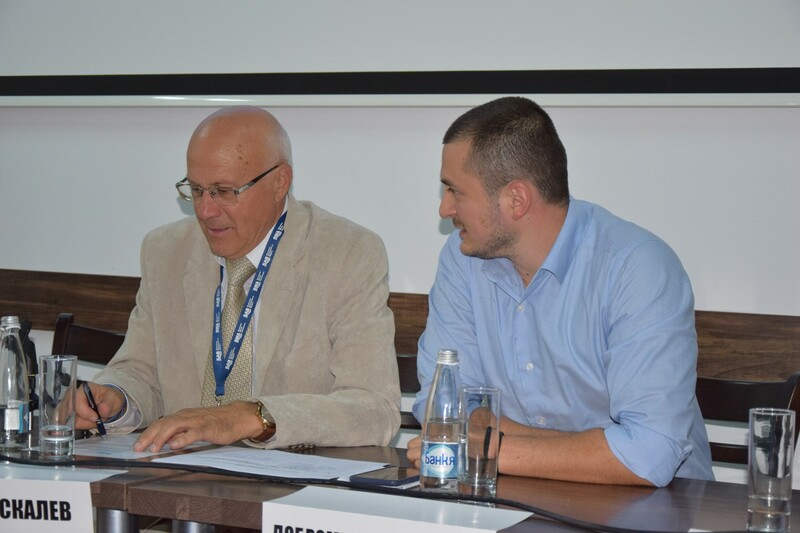 It was also supported by Ivaylo Kaschiev, Director General of Directorate „Water Suppyl and Sanitation“ in Energy and Water Regulatory Commission. 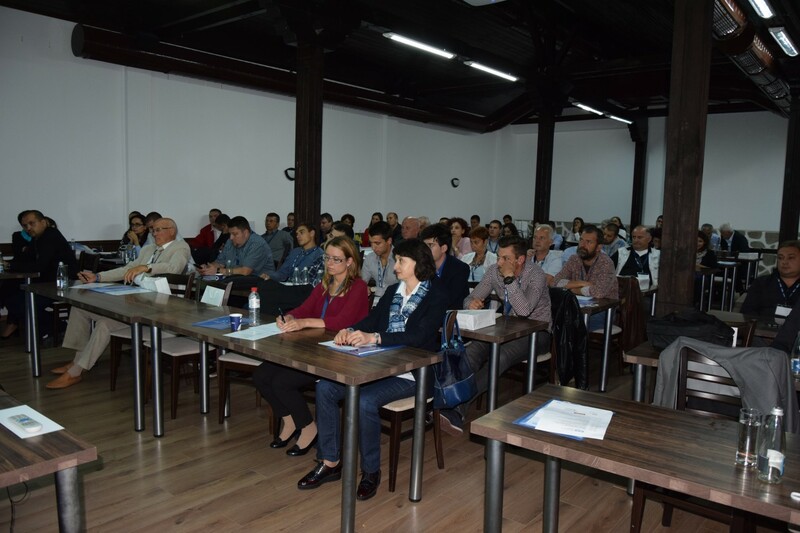 I am thrilled that the seminar hall is full. 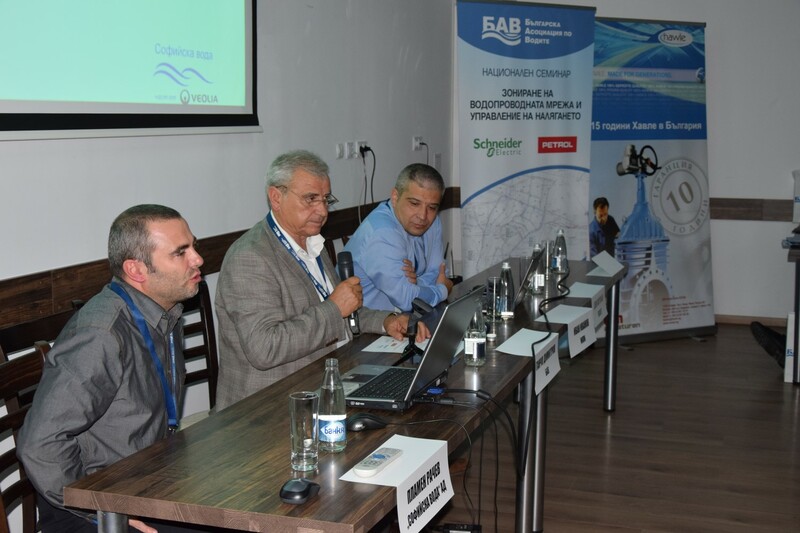 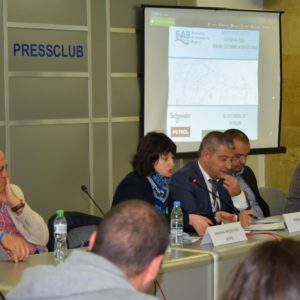 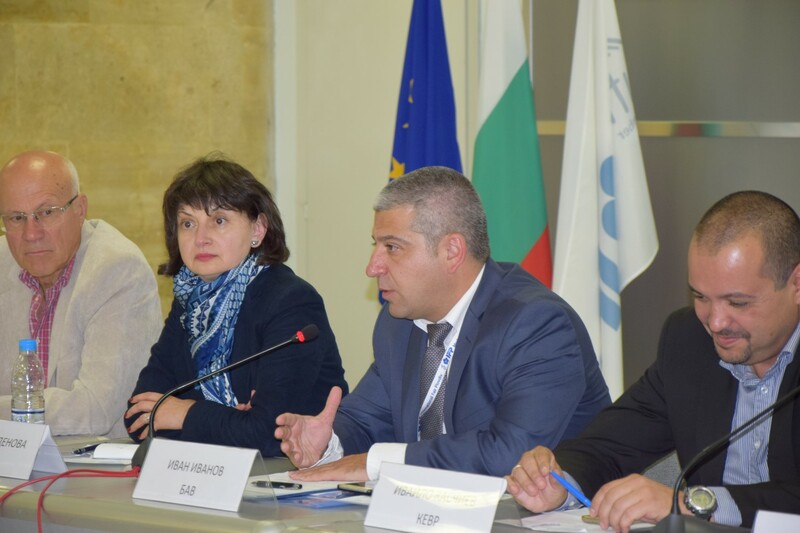 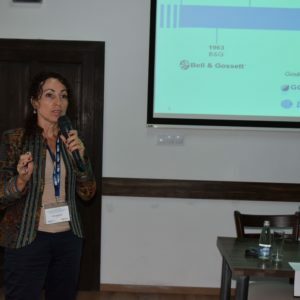 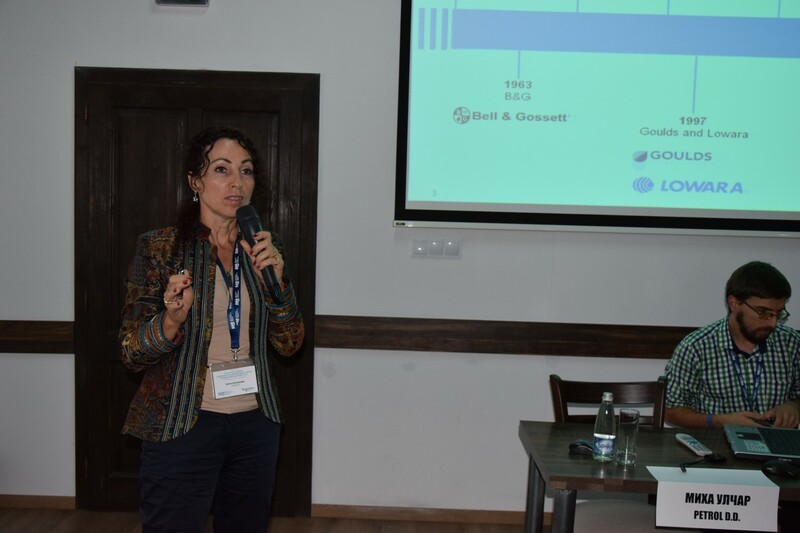 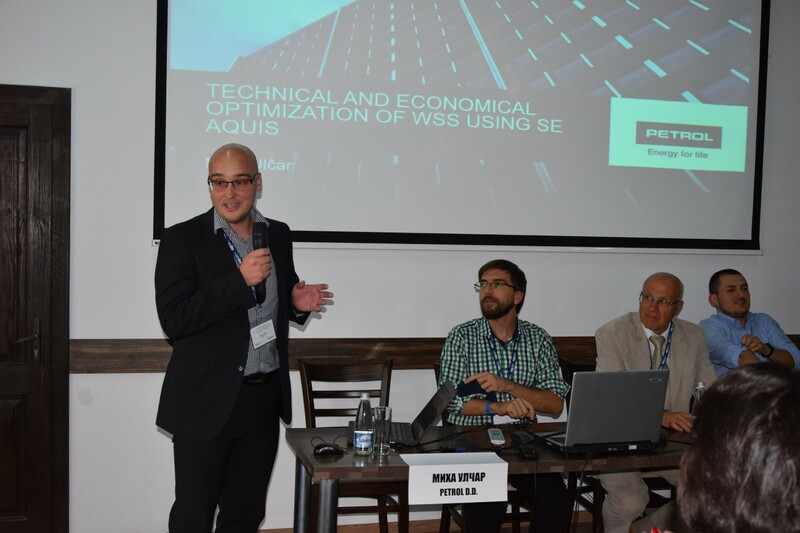 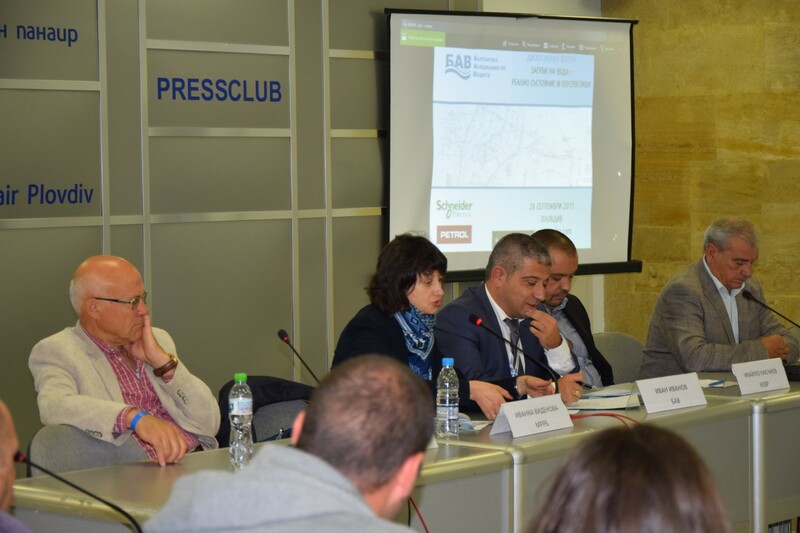 Of the main aims for Bulgarian Water Association is to organise such events where the members of the Associaion can discuss important for the WSS sector topics, to exchange information and ideas and to share successful experience. 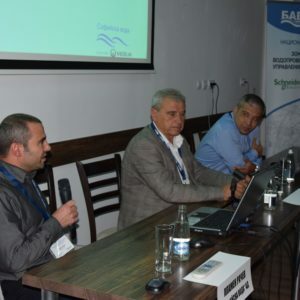 Withour a doubt the topic for water losses in water supply systems is a key one in the sector. 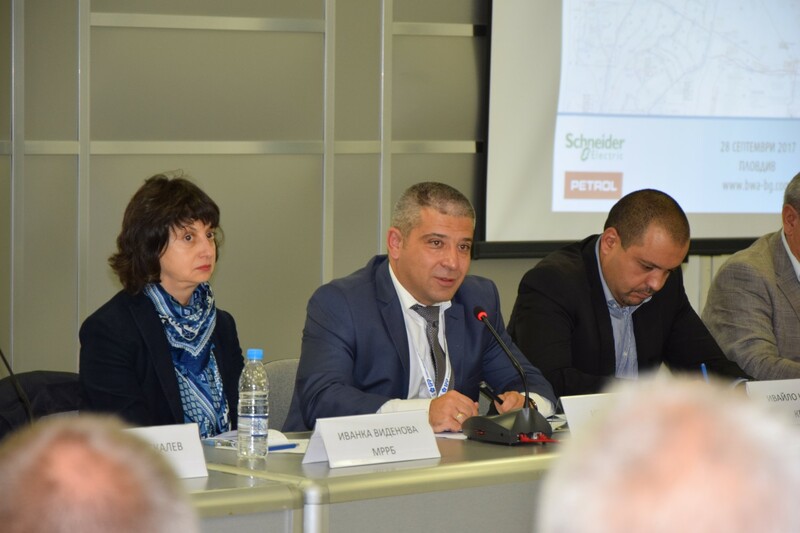 Main partner of the seminar was Schneider Electric. 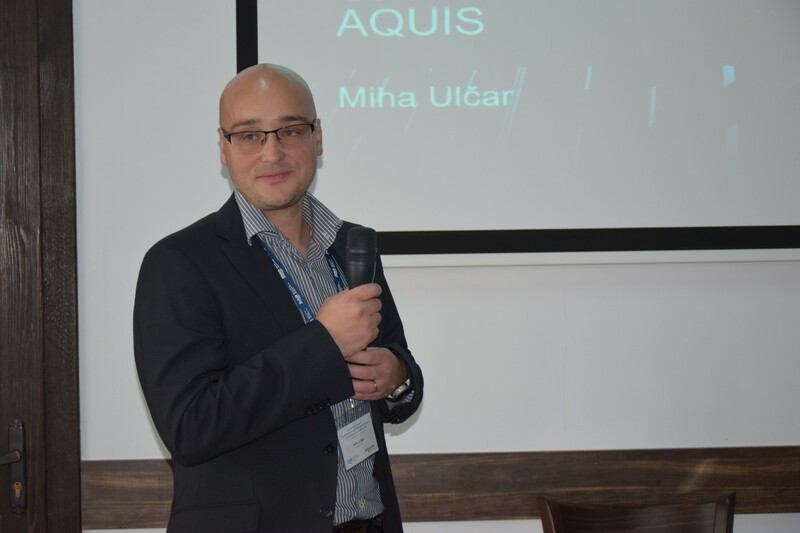 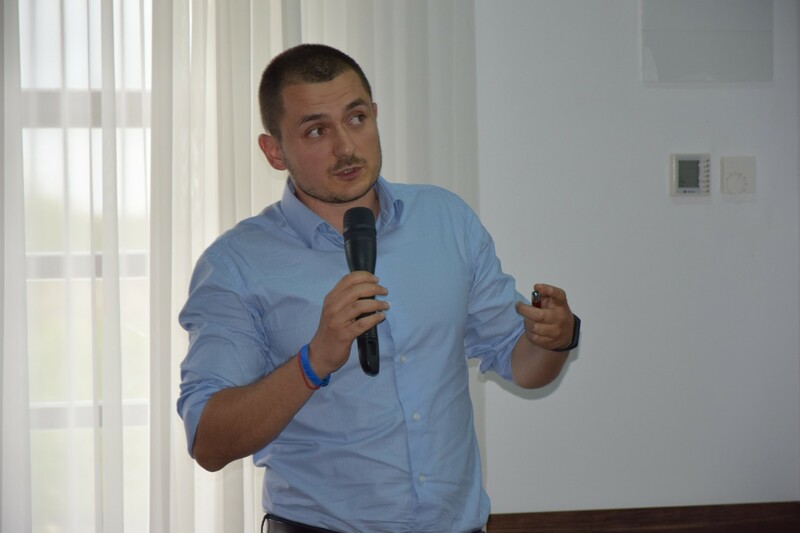 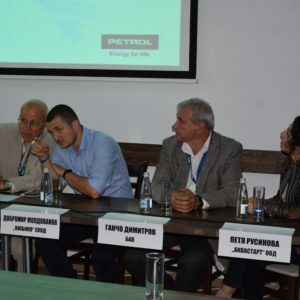 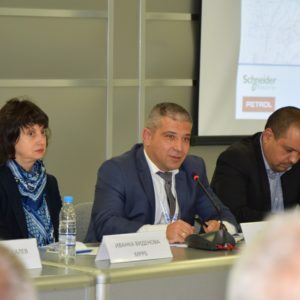 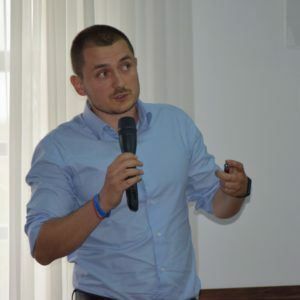 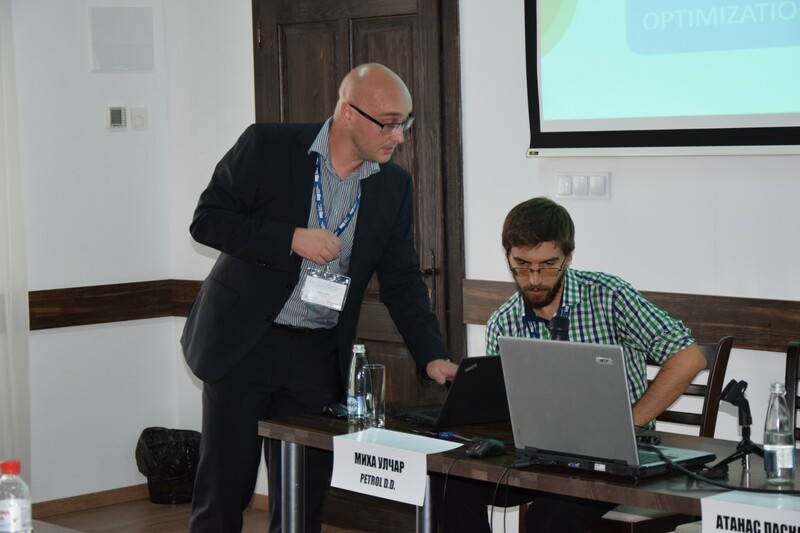 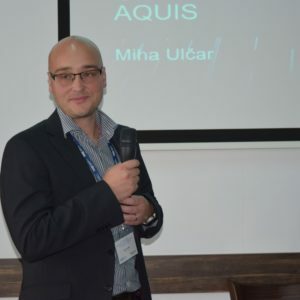 Miha Ulcar from Petrol d.d., Lyublyana, presented the mutual activity of Petrol and the global leader in energy sector and automatisation – Schneider Electric. 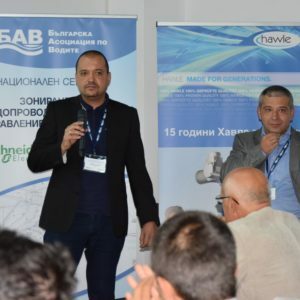 It is them who develop connected technologies and solutions to manage energy and process in ways that are safe, reliable, efficient and sustainable. 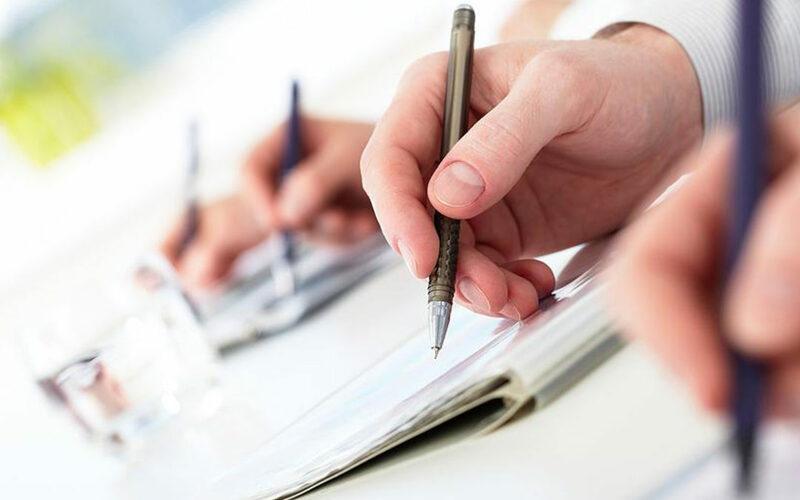 The Group invests in R&D in order to sustain innovation and differentiation, with a strong commitment to sustainable development. 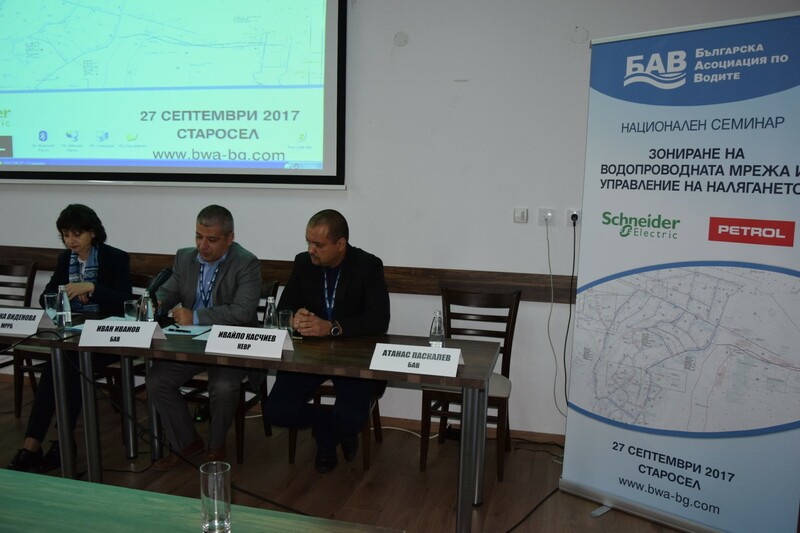 The theme of zoning of the water supply network is particularly relevant in the context of the requirements of the Energy and Water Regulatory Commission towards operators to the quality of water and sewerage services. 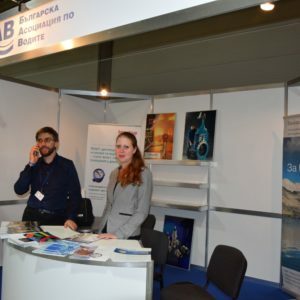 In the coming years in this field in our country will be accumulated knowledge and experience. 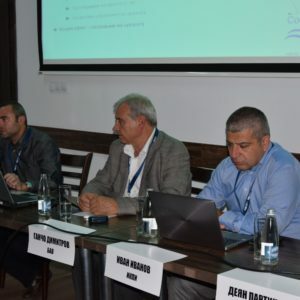 Under the new ordinance to regulate the quality of water and sewerage services, and instructions of EWRC for its application for the regulatory period 2017 – 2021, some specific individual goal were set for water operators, including requirements for zoning program for the water supply network. 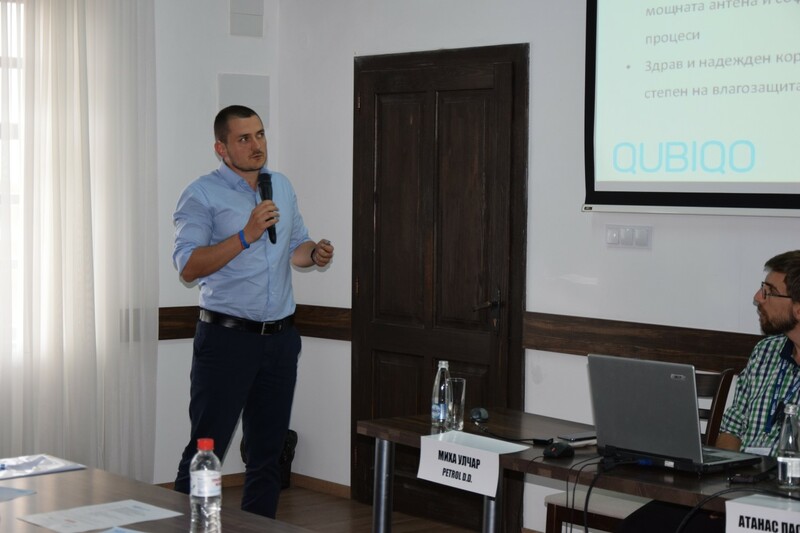 Partners of the seminar were also the specialised companies „KMT Service“, „Aquastart“ with innovations of Lowara, a Xylem Brand and „Qubiqo“. 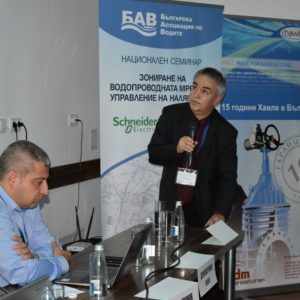 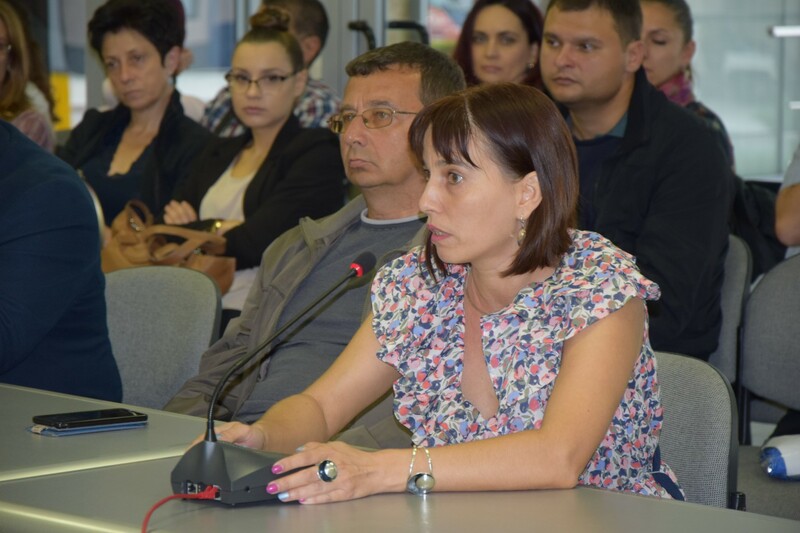 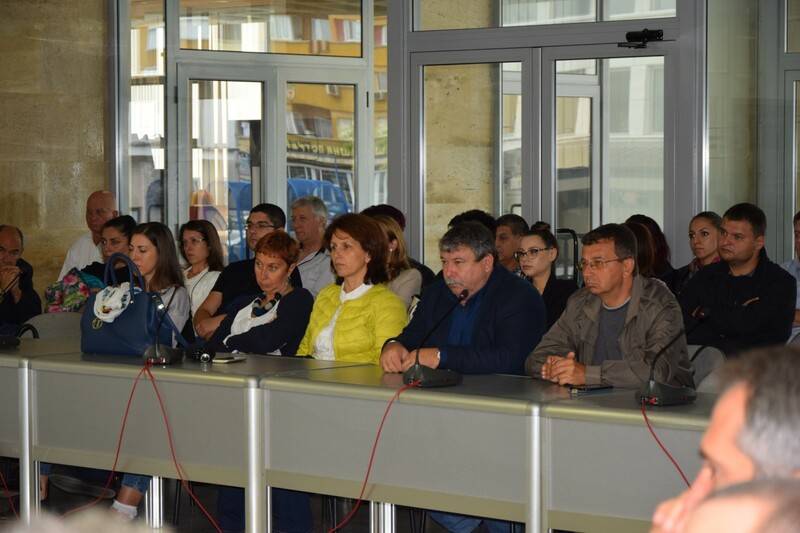 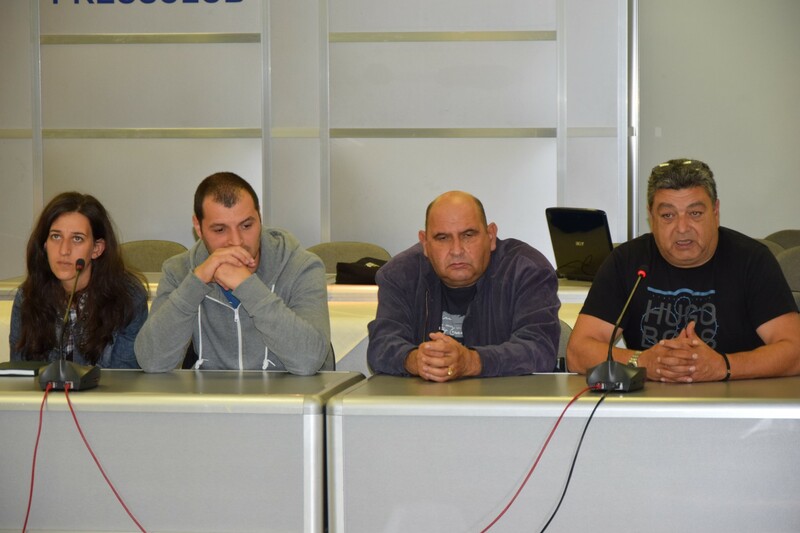 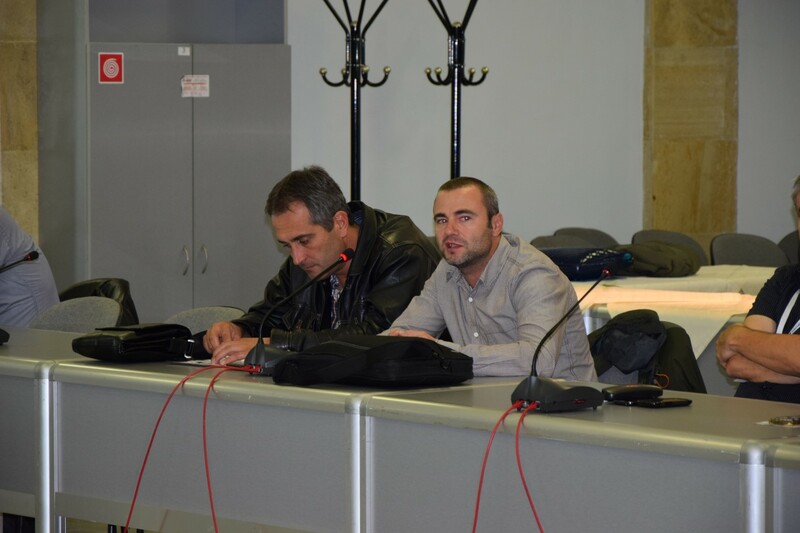 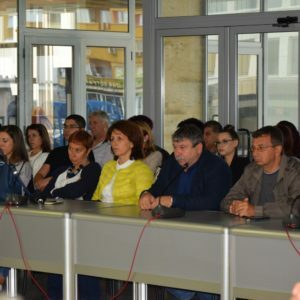 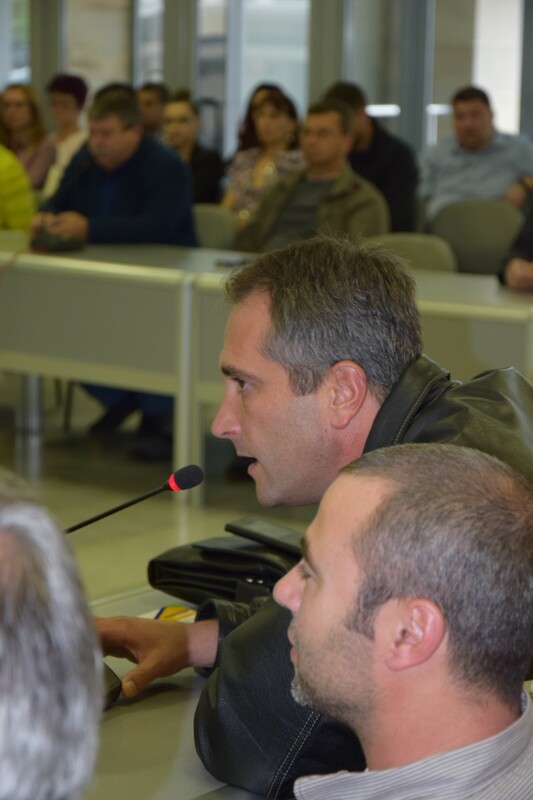 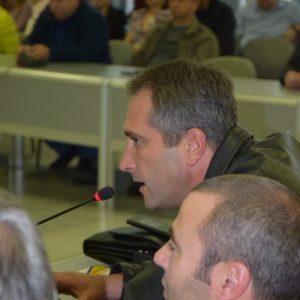 On the forum the professional experince of Sofiyska voda AD and WSS of Blagoevgrad city was also been shared. 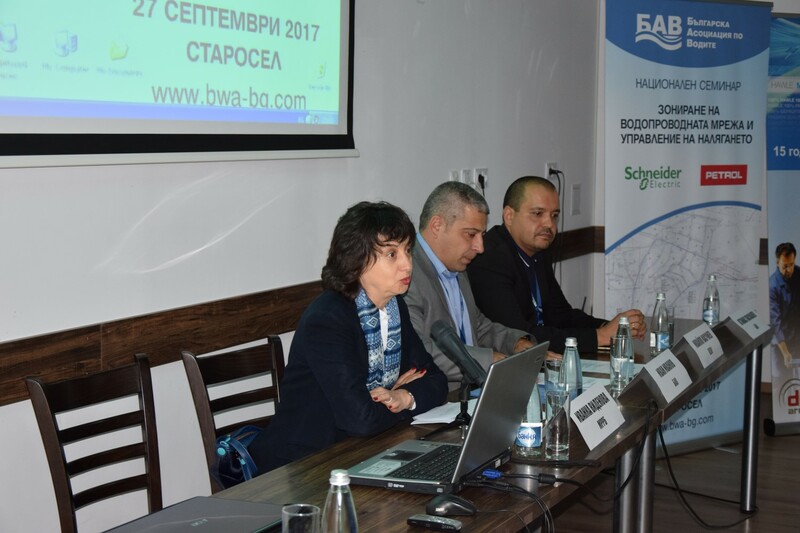 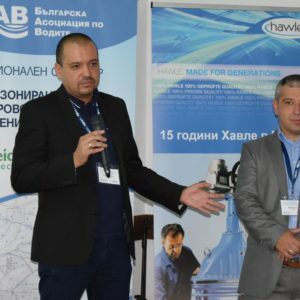 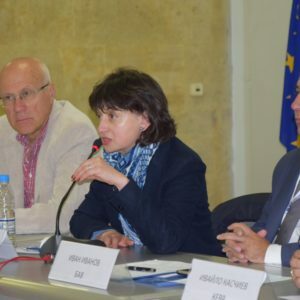 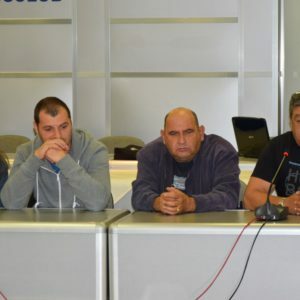 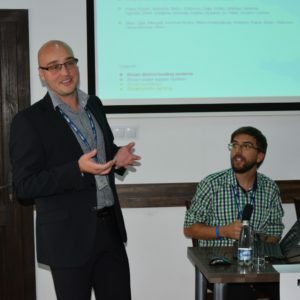 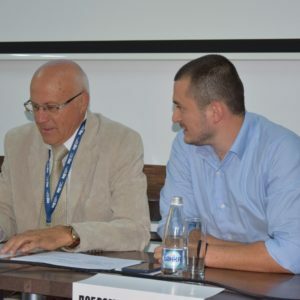 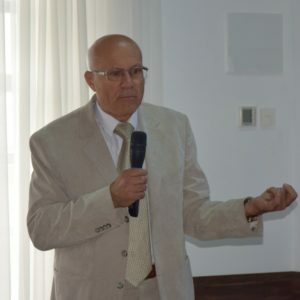 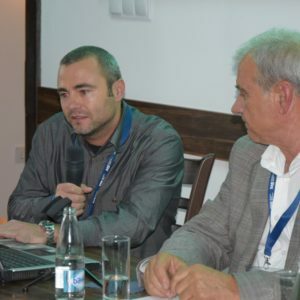 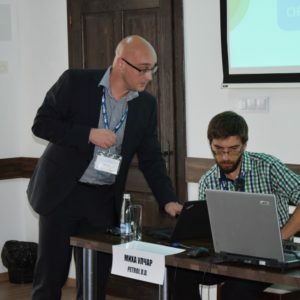 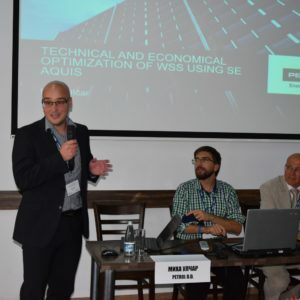 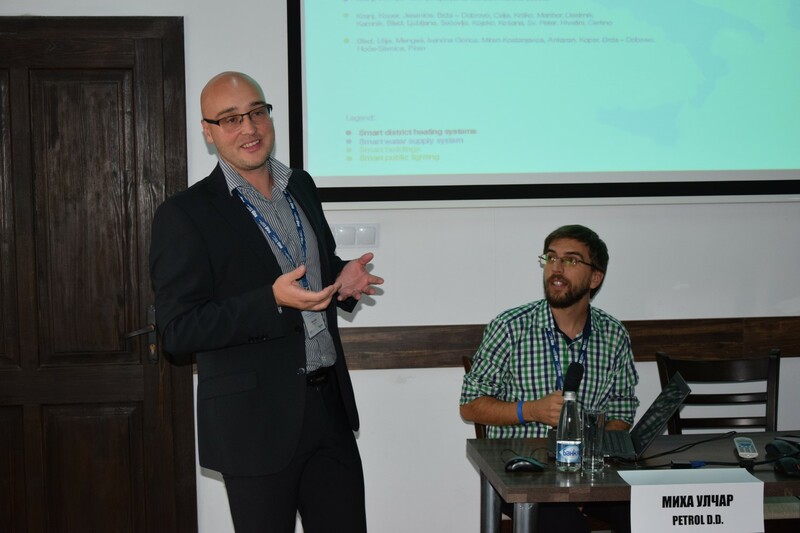 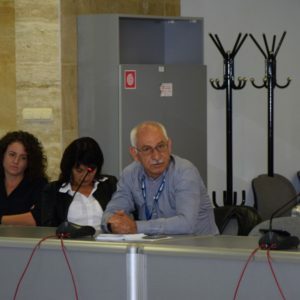 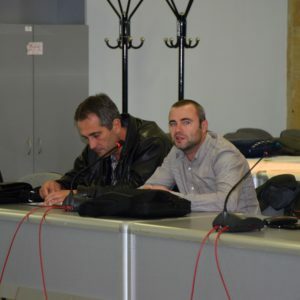 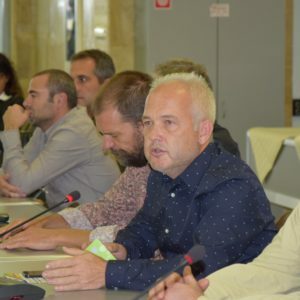 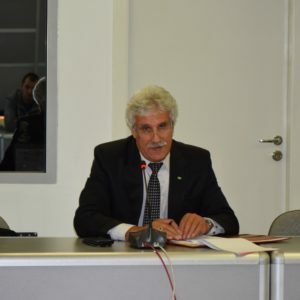 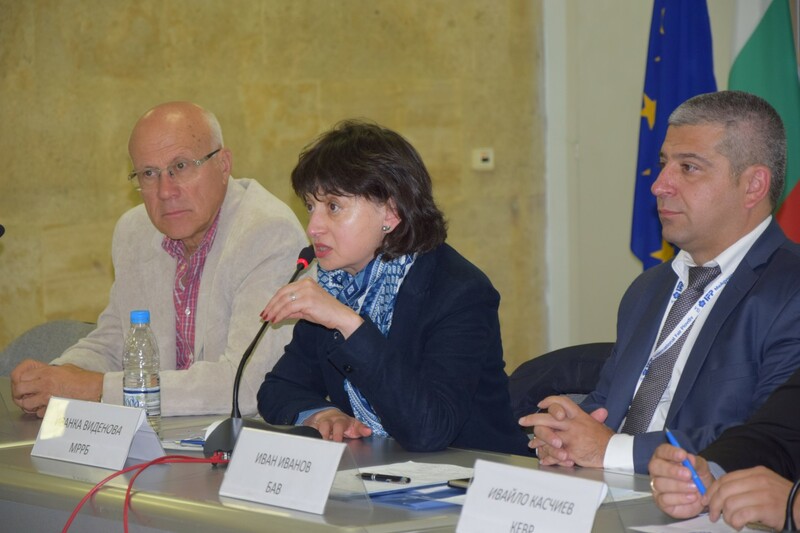 Moderators were Ivan Ivanov – President of BWA, Atanas Paskalev and Gancho Dimitrov – both members of the Governing Board of the Associaion. 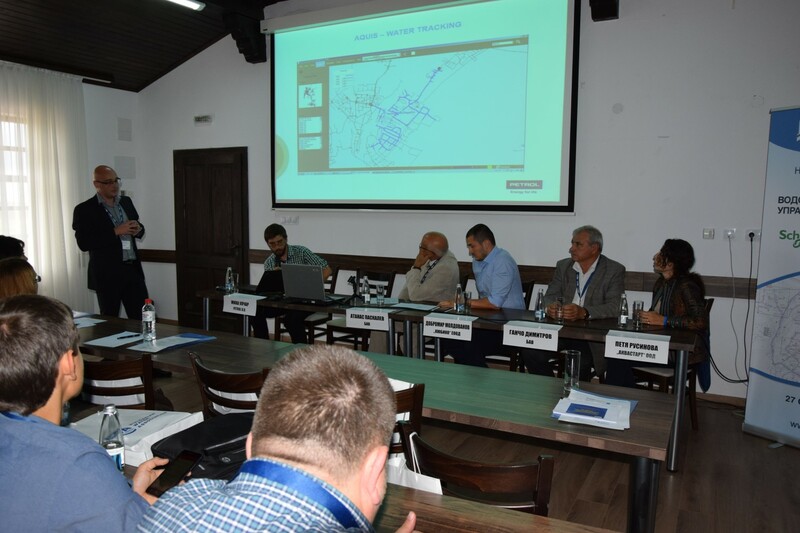 Participants in the event were representatives of MRDPW, EWRC, WSS operators’ managers, chief engineers and experts, as well as business representatives, etc. 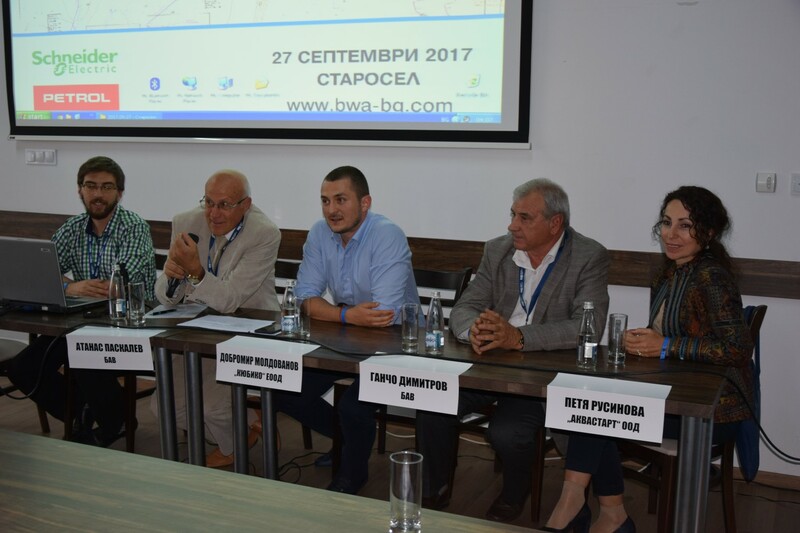 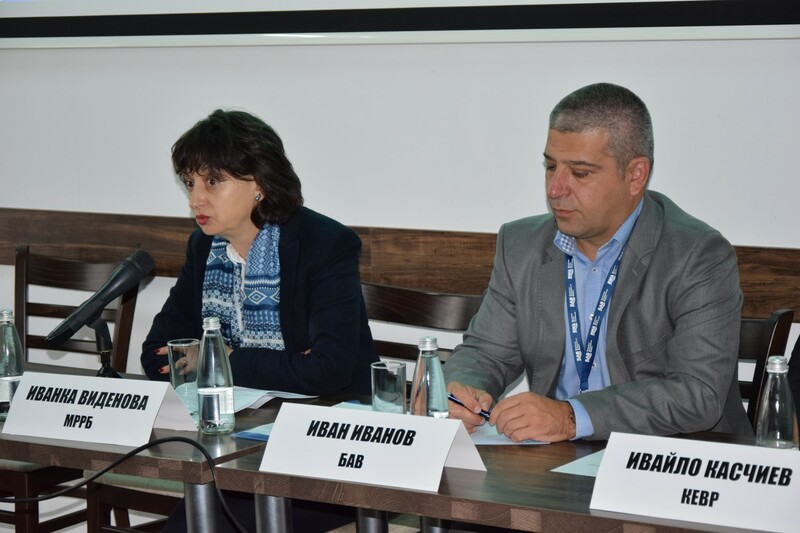 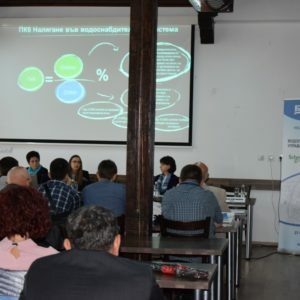 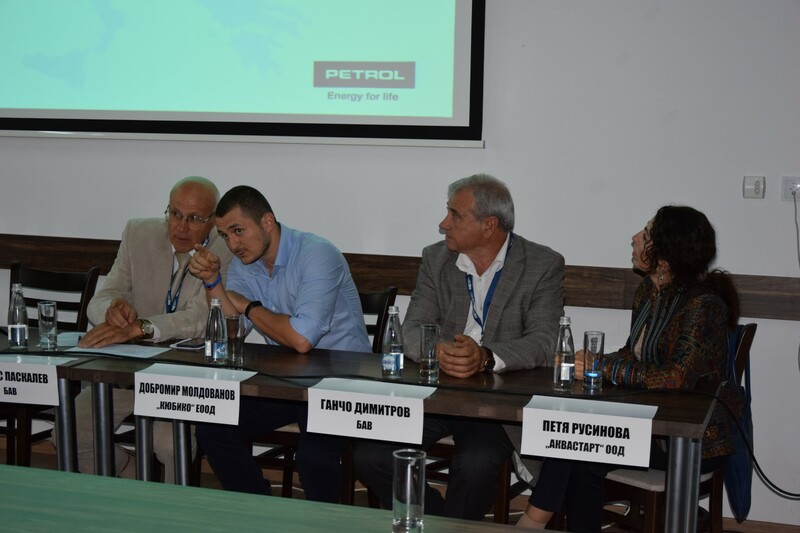 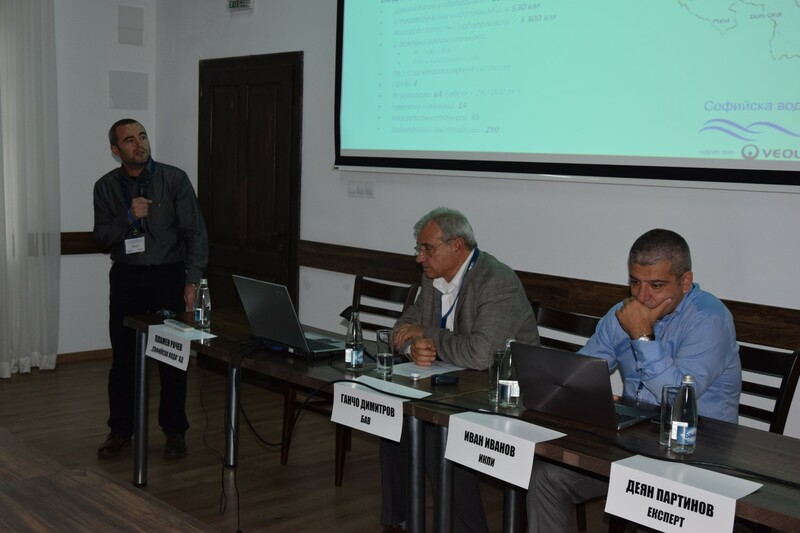 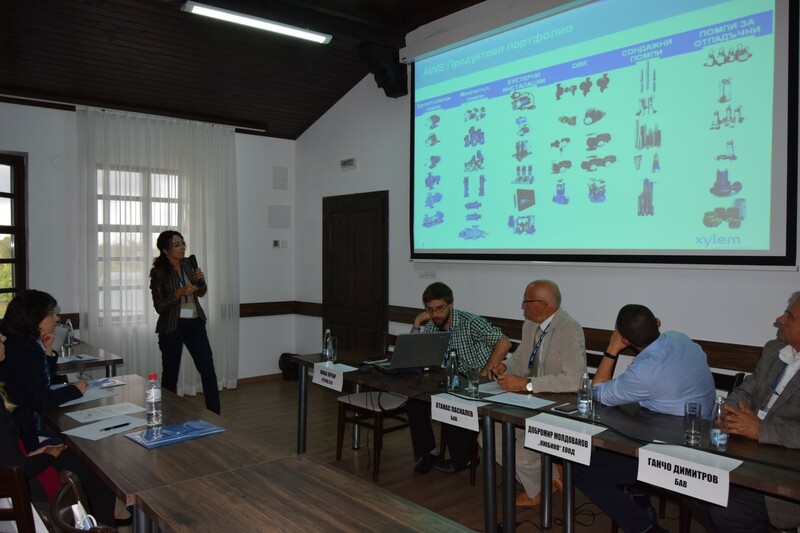 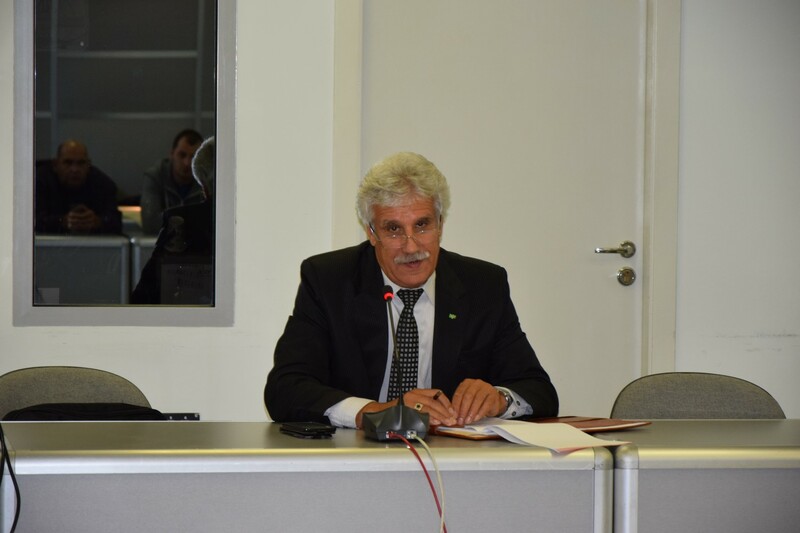 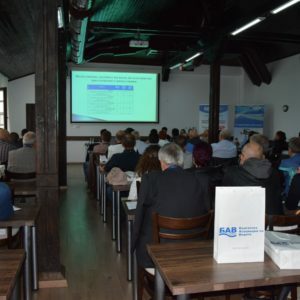 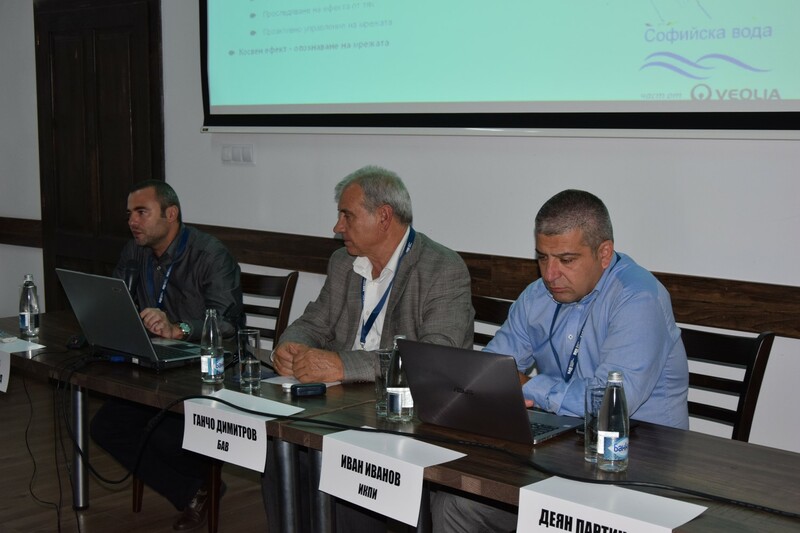 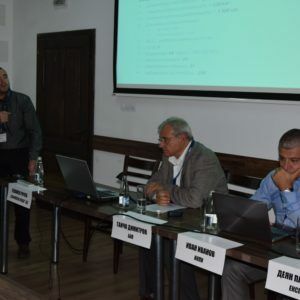 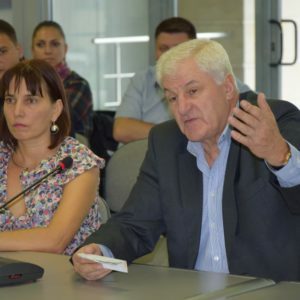 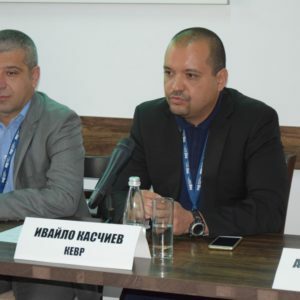 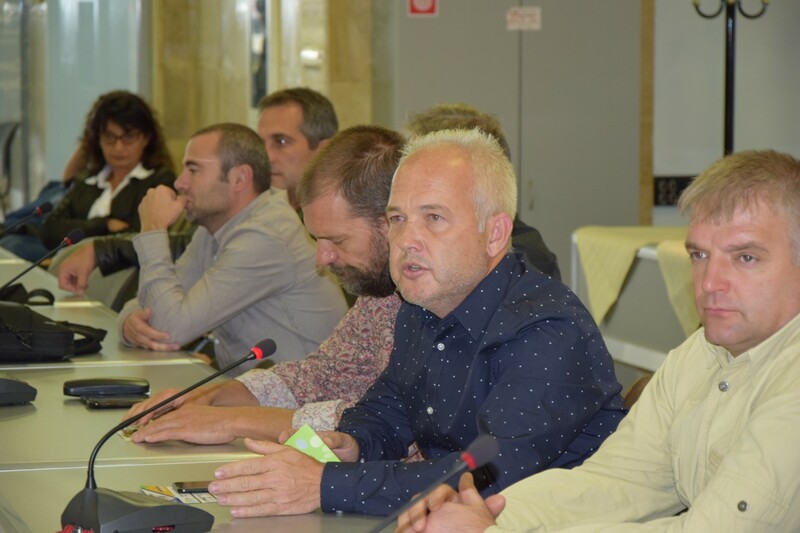 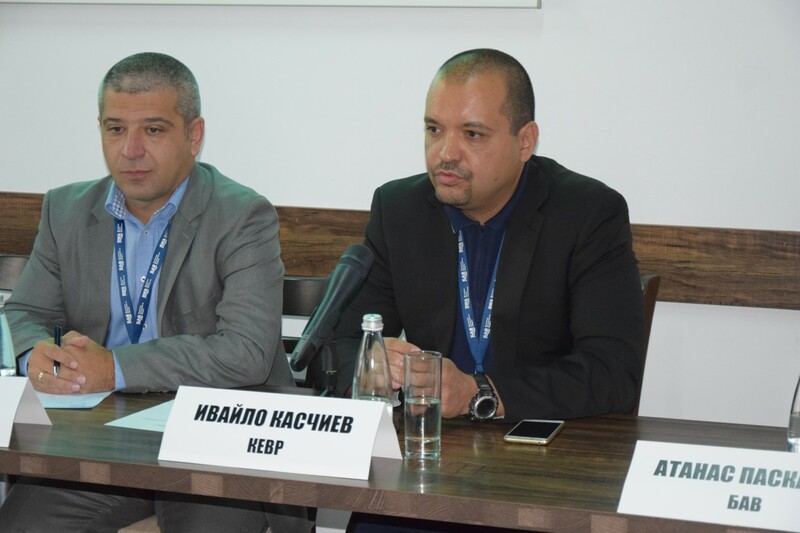 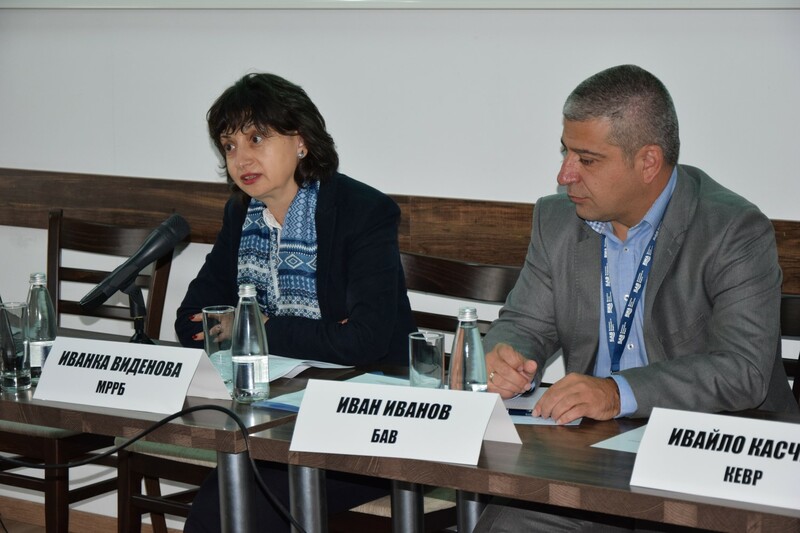 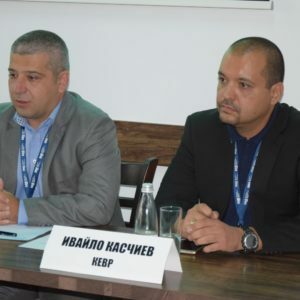 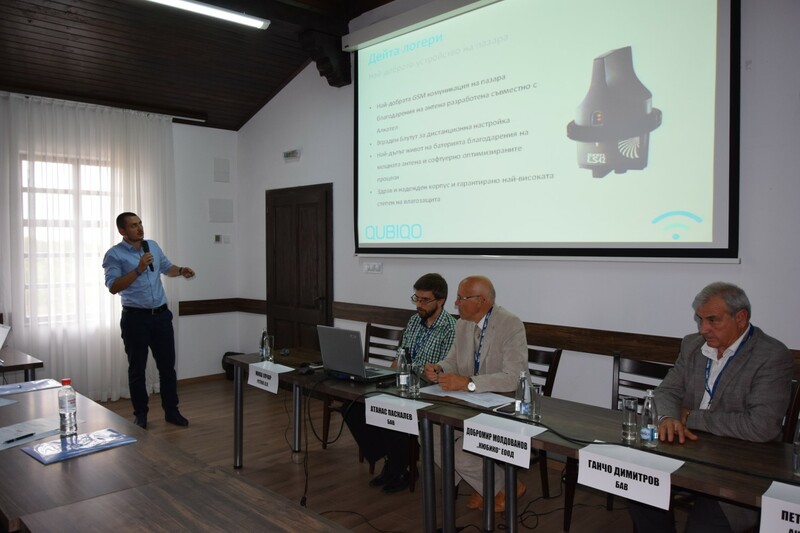 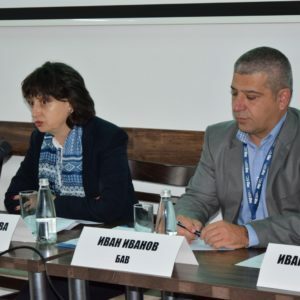 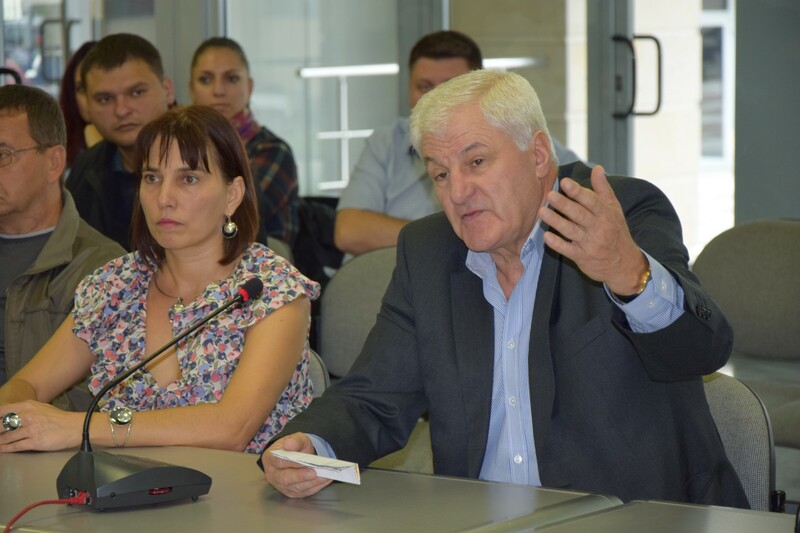 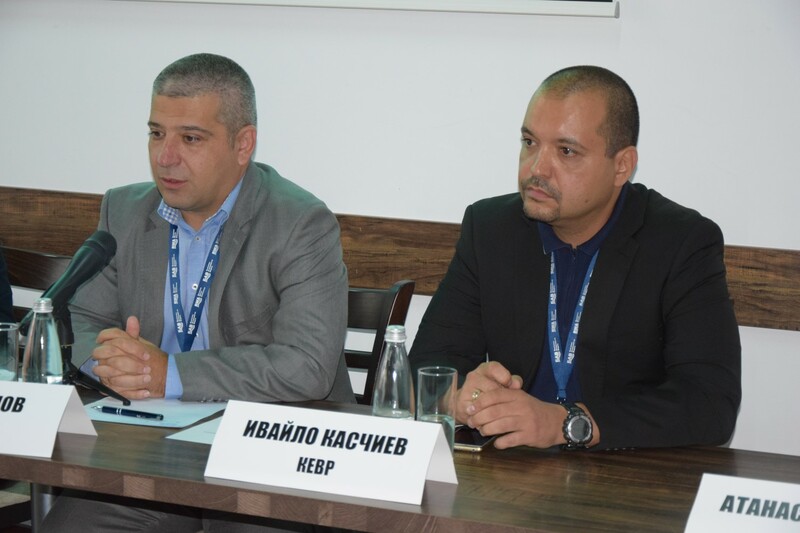 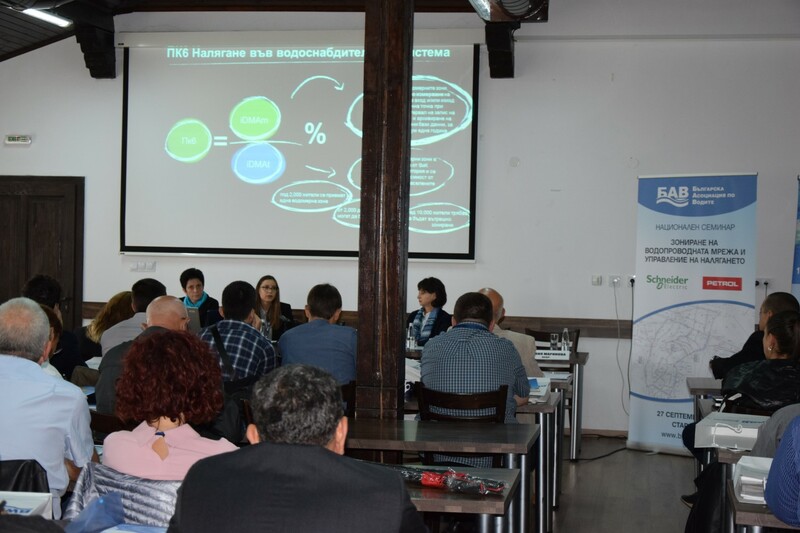 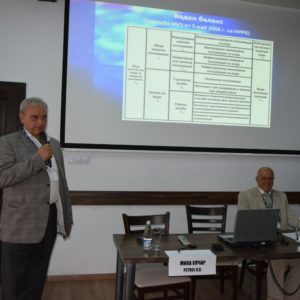 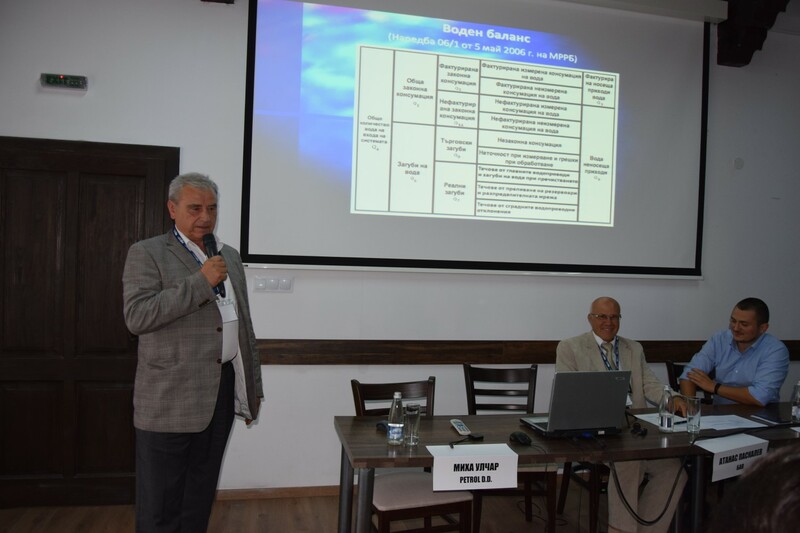 On the next day – 28.09, BWA hold another discussion forum „Water loss – real condition and prospects“ at the Congress Center of the International Fair in Plovdiv. 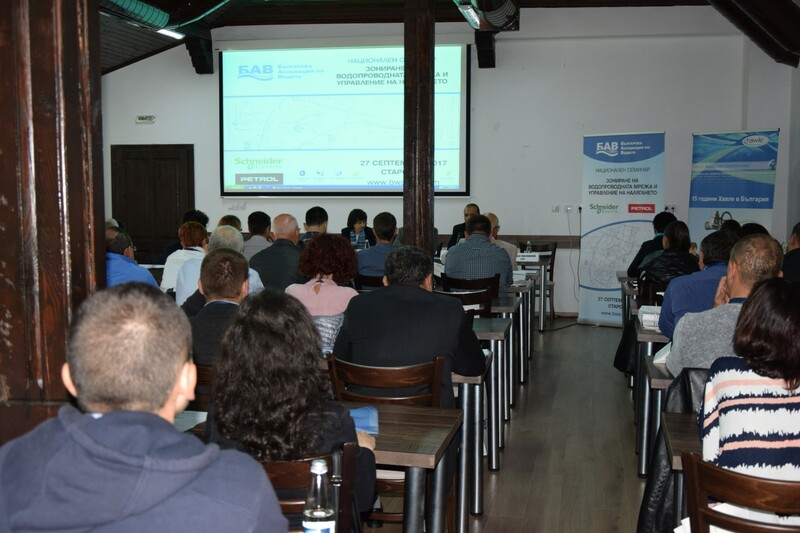 Participation in both events, organised by BWA, took more than 130 stakeholders from the water sector. 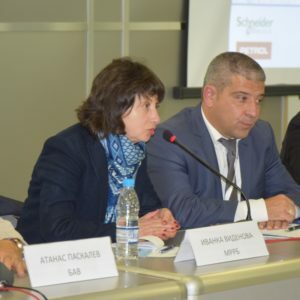 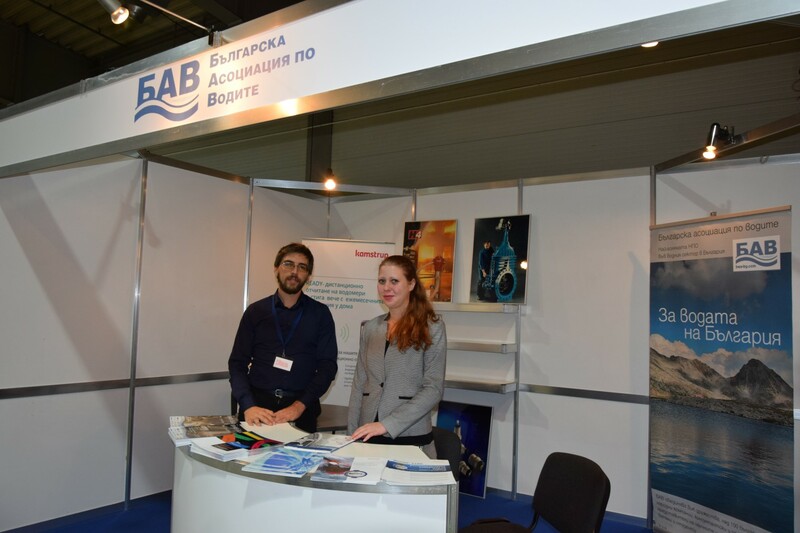 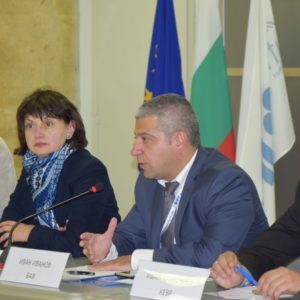 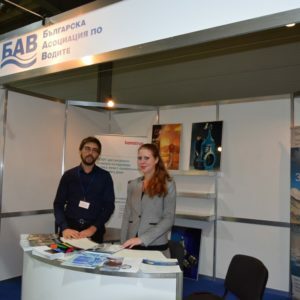 Bulgarian Water Association is a partner of the Plovdiv Fair this year by supporting particularly the International exhibition of technologies and water management AQUATECH, which was held from 25 to 30 September. 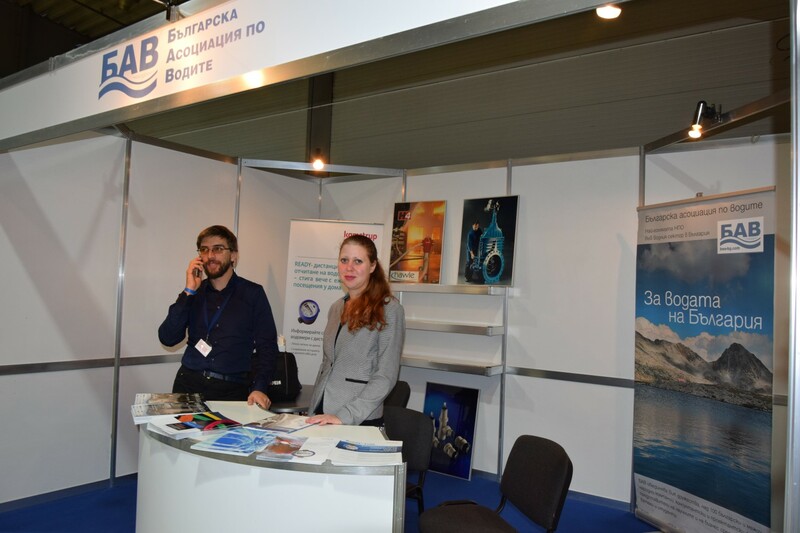 BWA participated in the Fair with a stand that presented the association and its members. 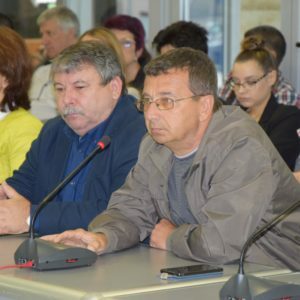 БАВ Атанас Паскалев Член на УС на БАВ Още веднъж: Защо и как да изграждаме зони за измерване на водопотреблението (DMA)?